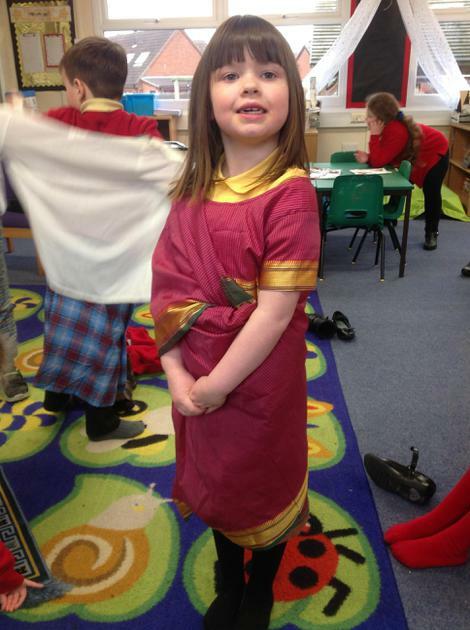 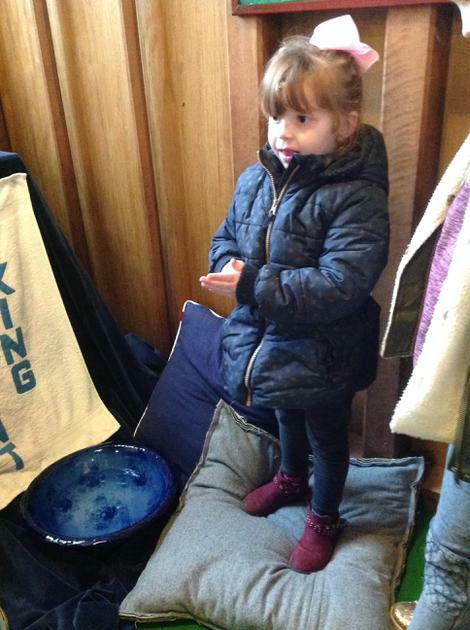 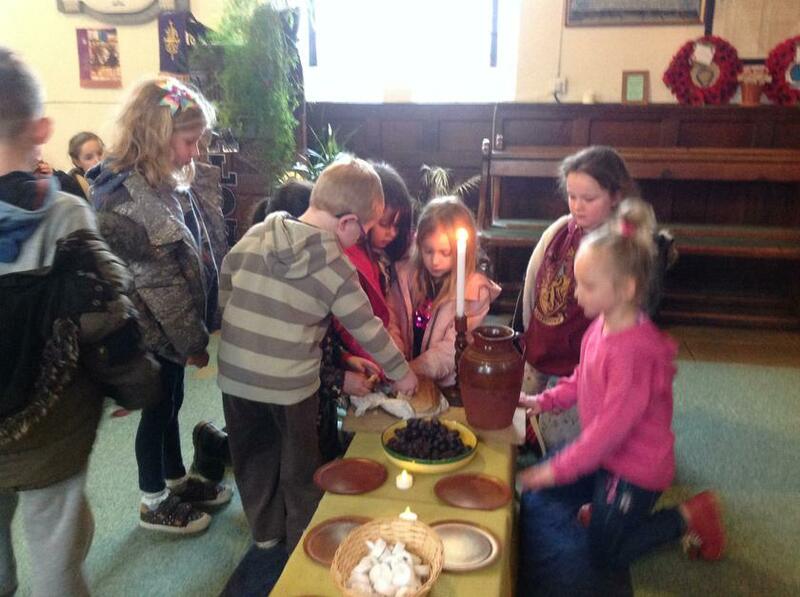 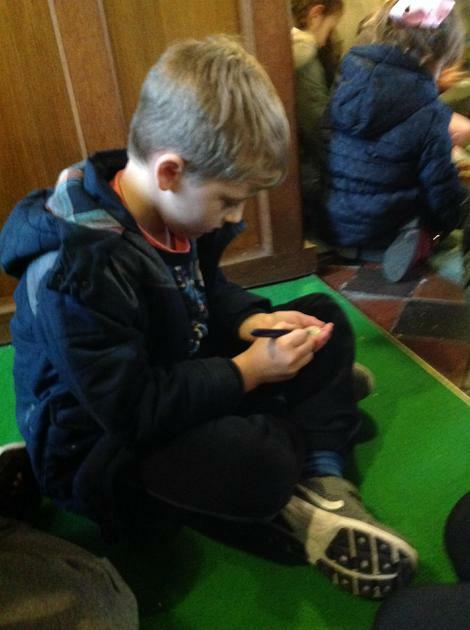 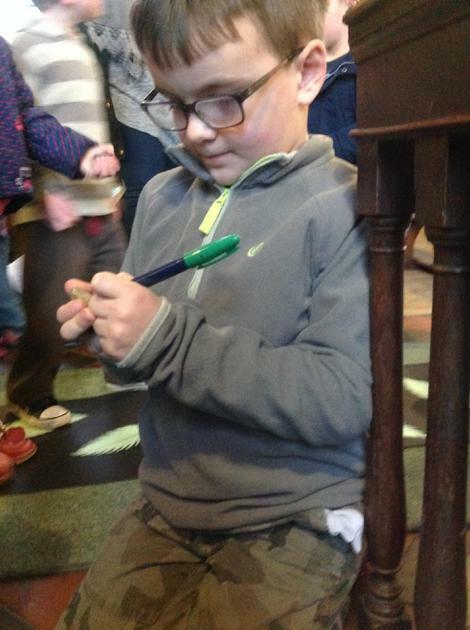 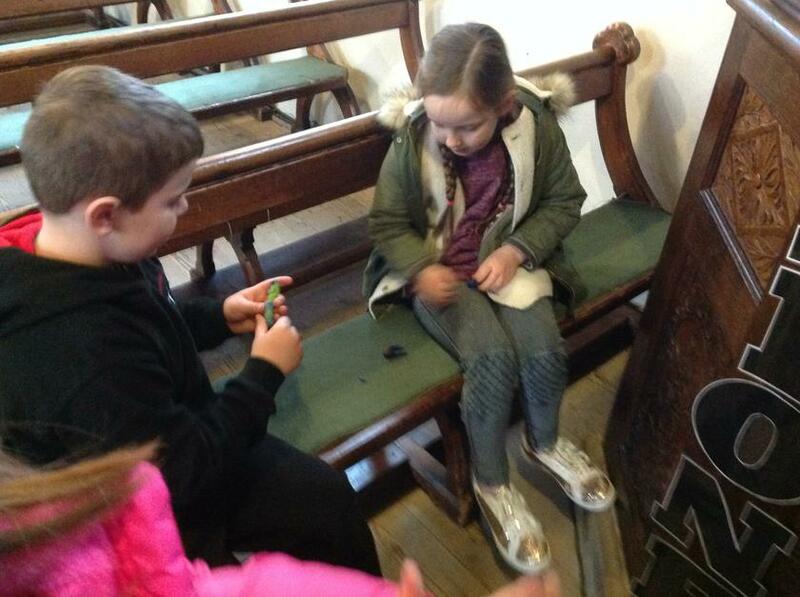 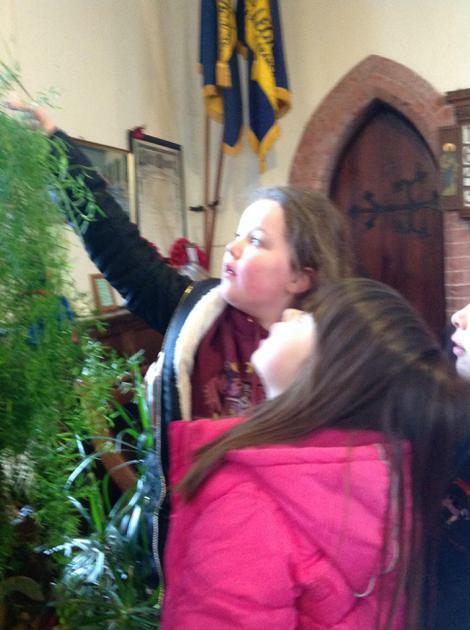 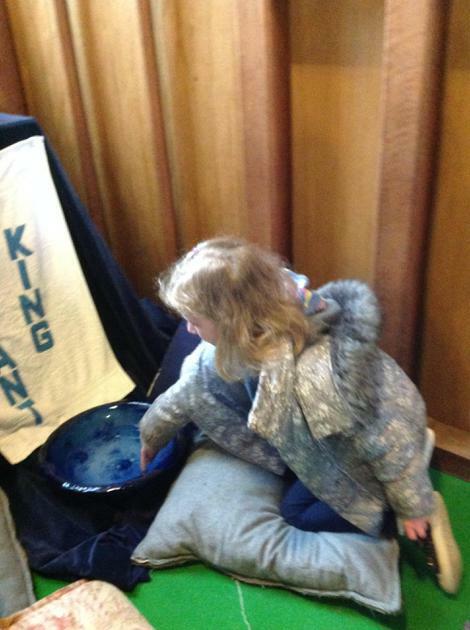 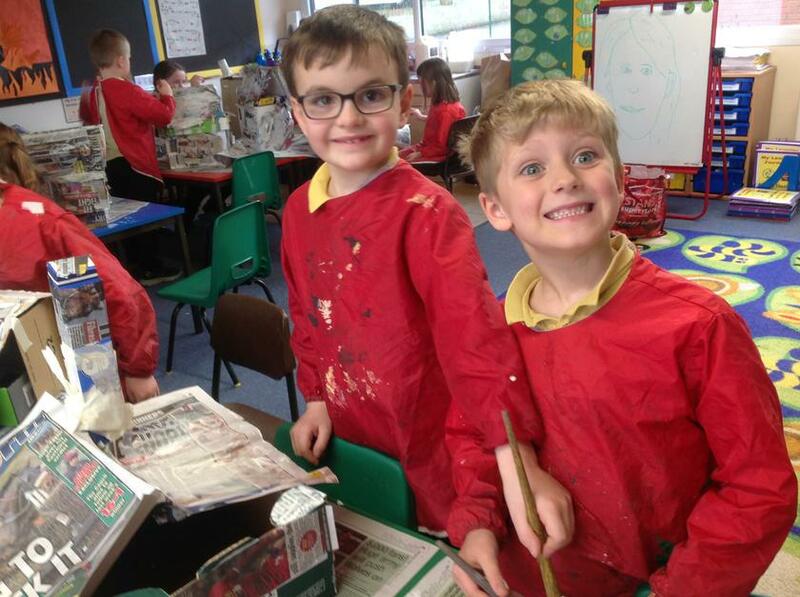 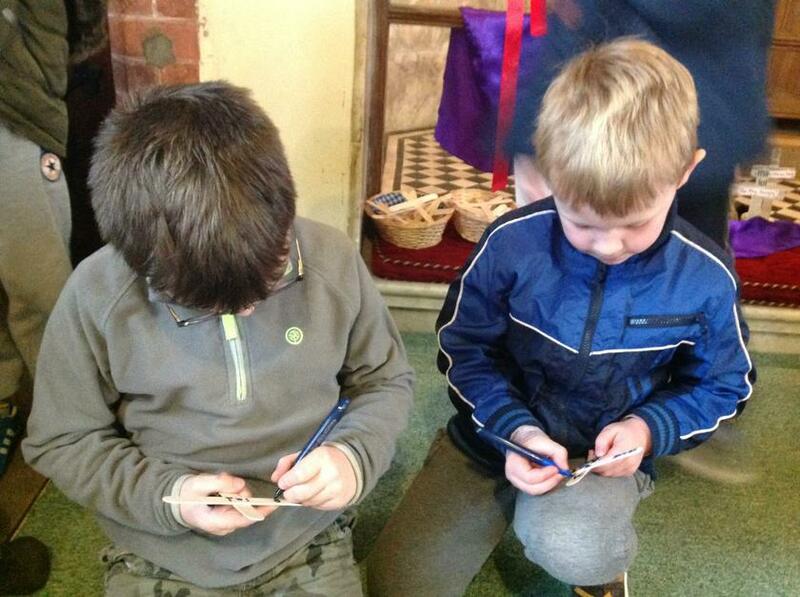 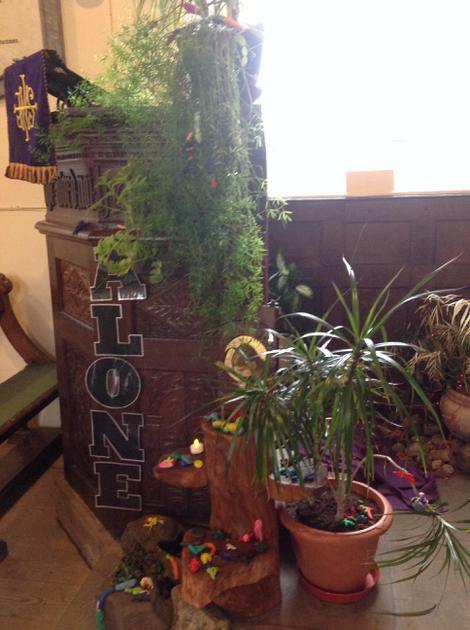 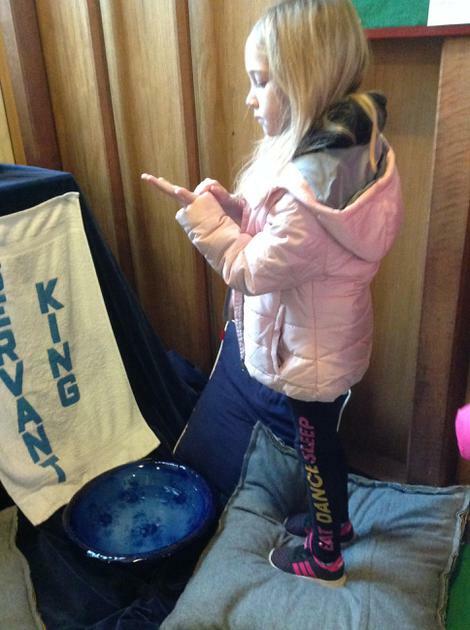 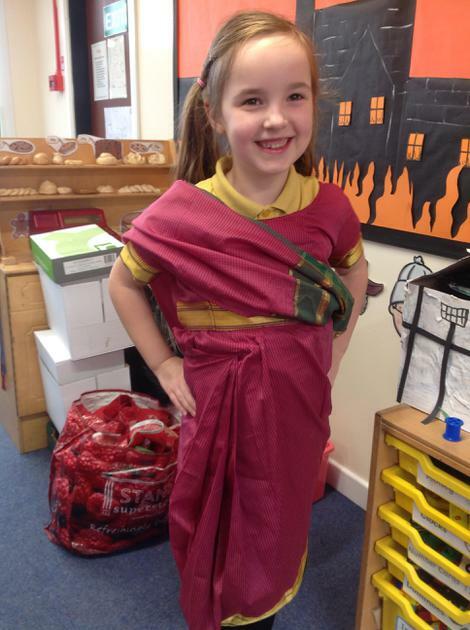 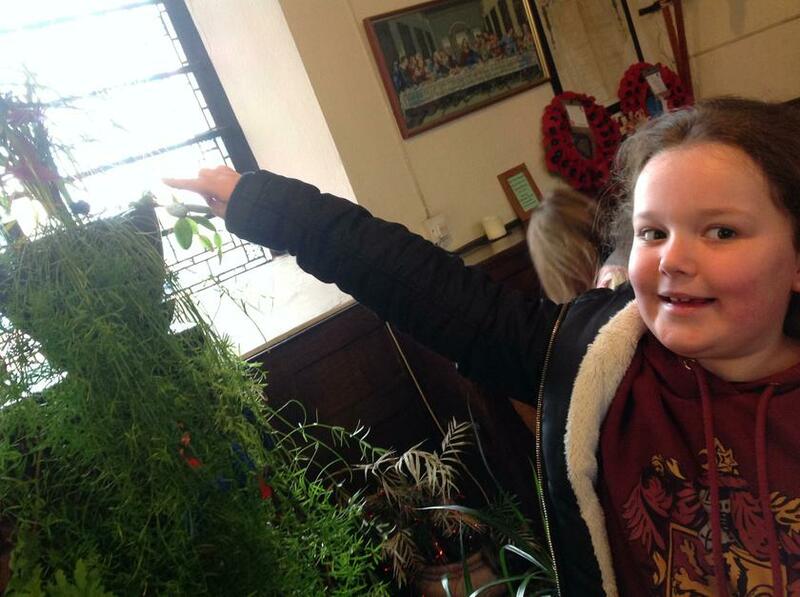 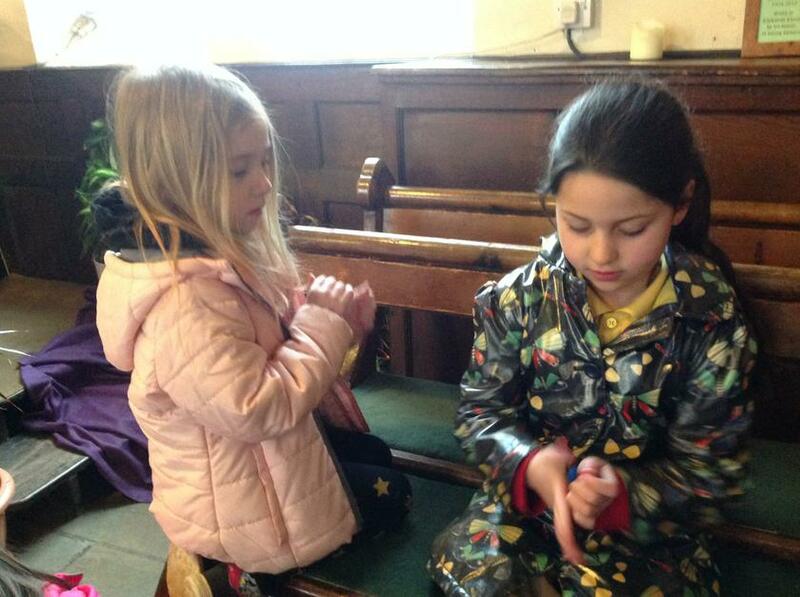 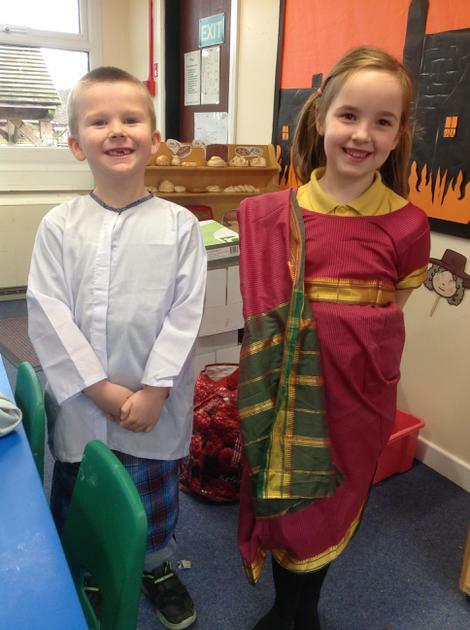 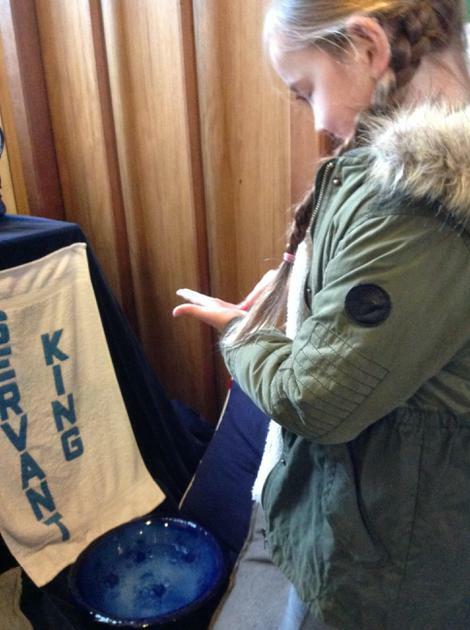 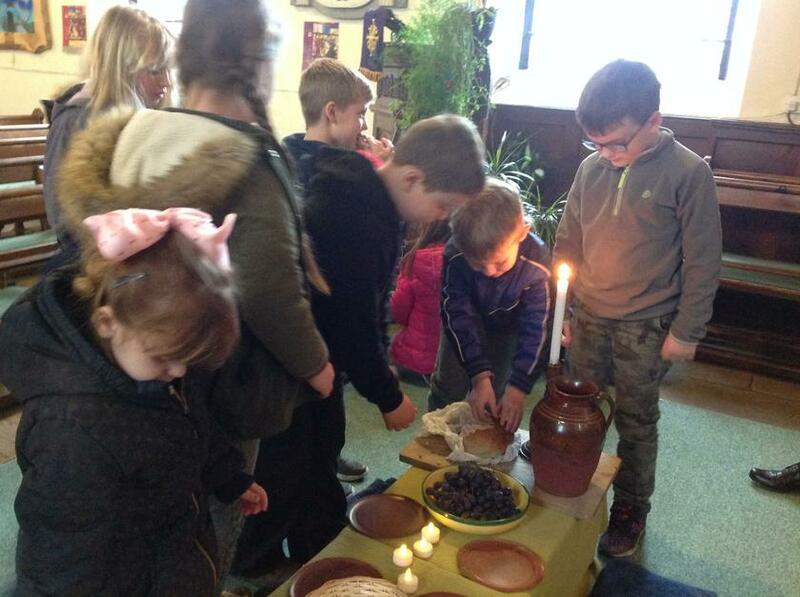 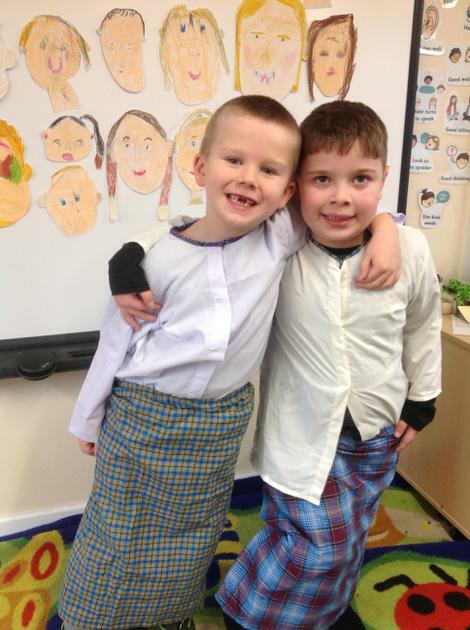 We had a wonderful time exploring the story of Easter in church. 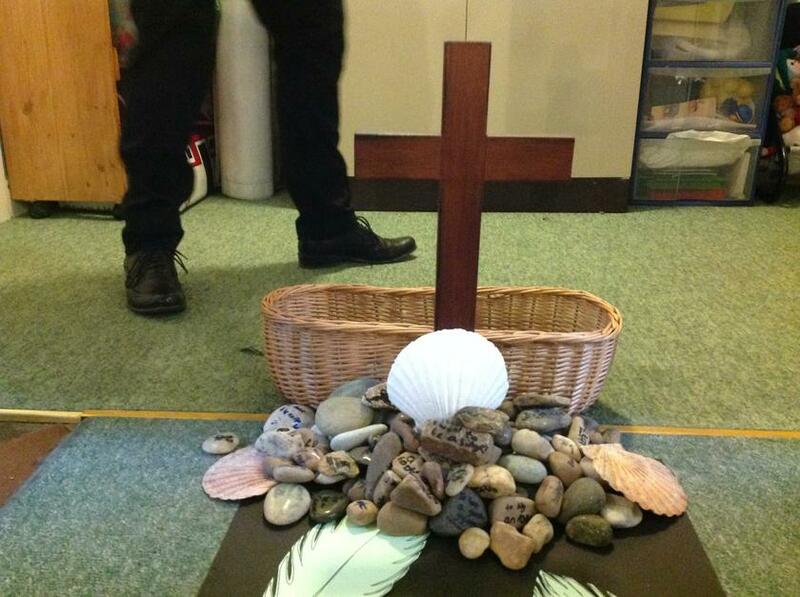 Thank you Reverend Maureen! 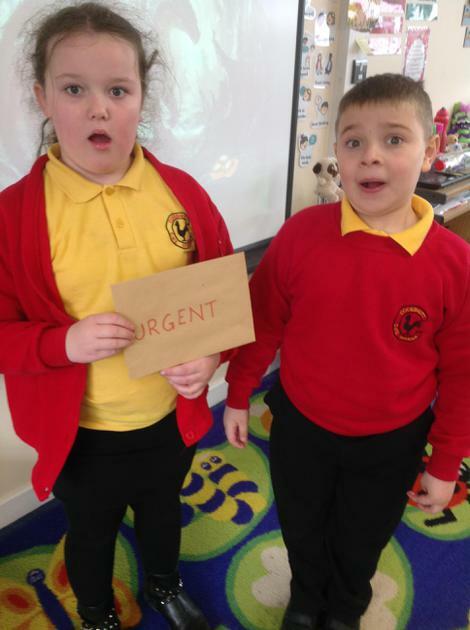 Keep yours eyes and ears open! 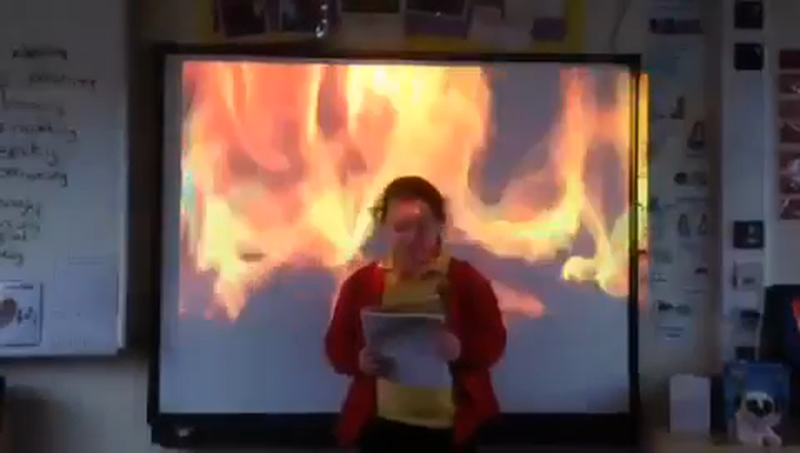 Dragons must be defeated! 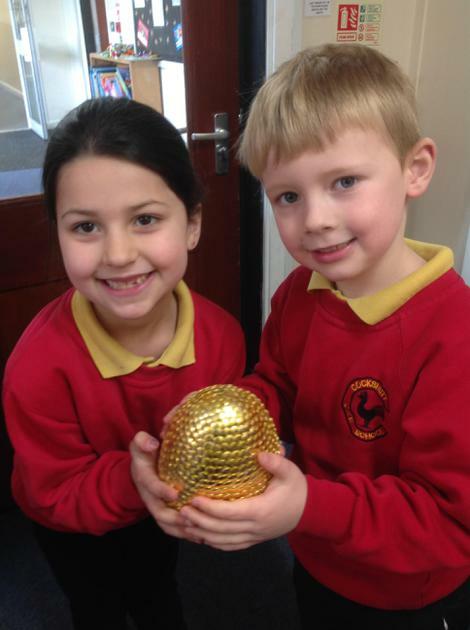 Well done to our amazing athletics team who won bronze at the Small School Games! 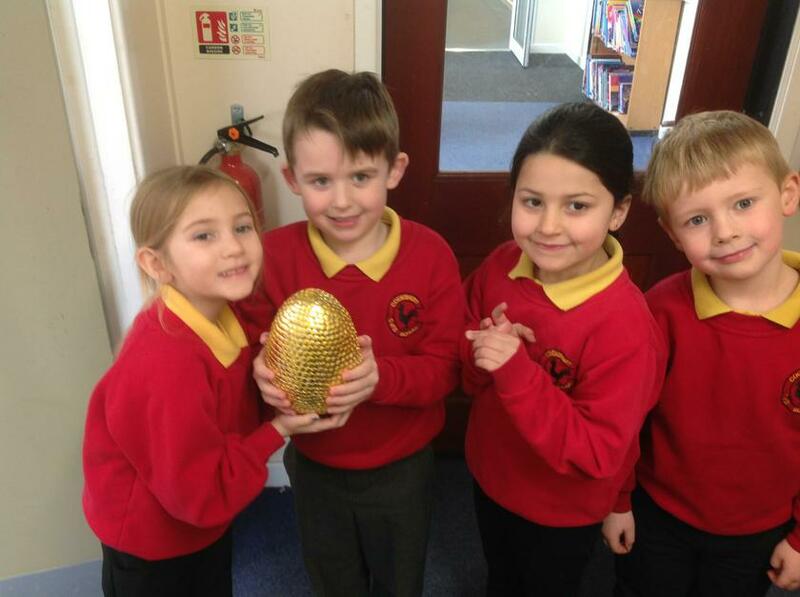 We also definitely won gold for our excellent behaviour! 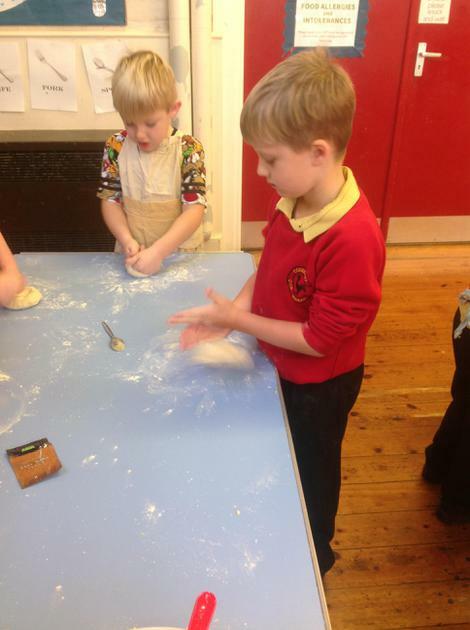 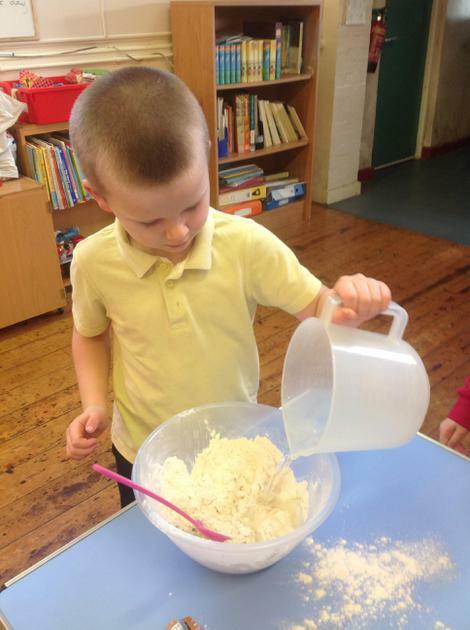 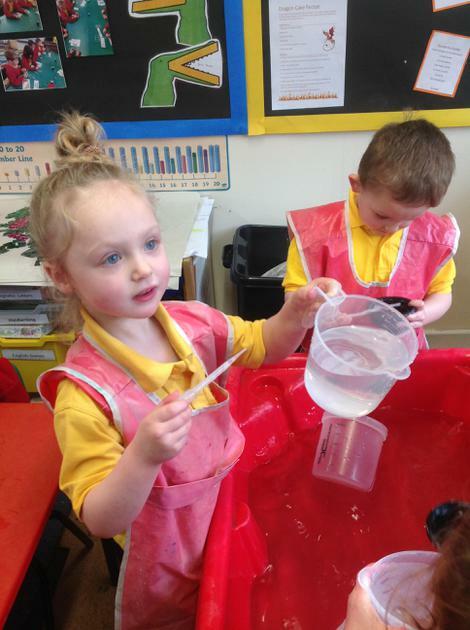 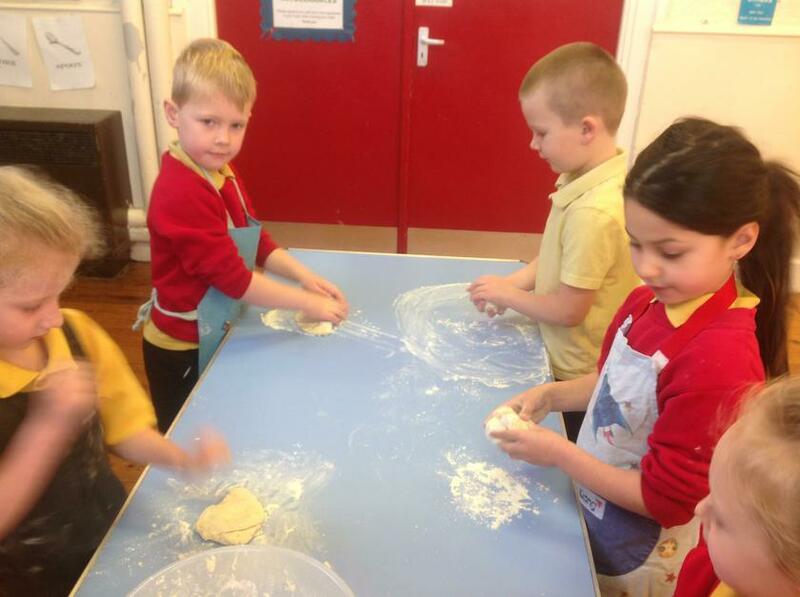 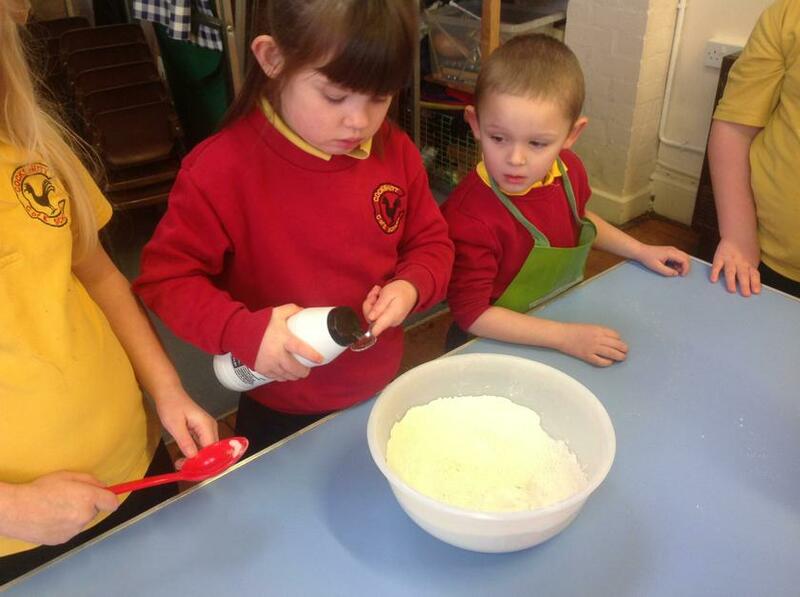 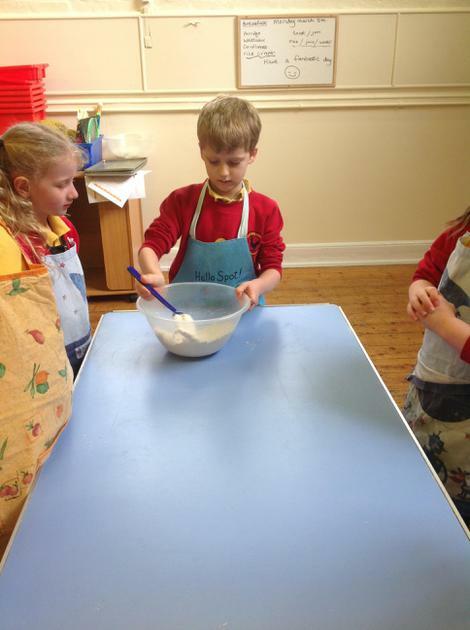 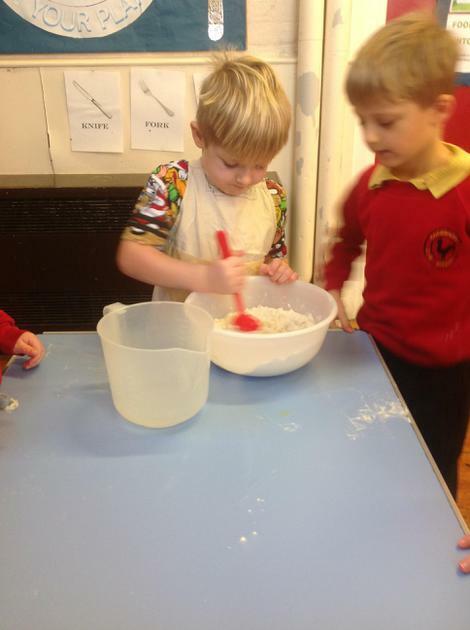 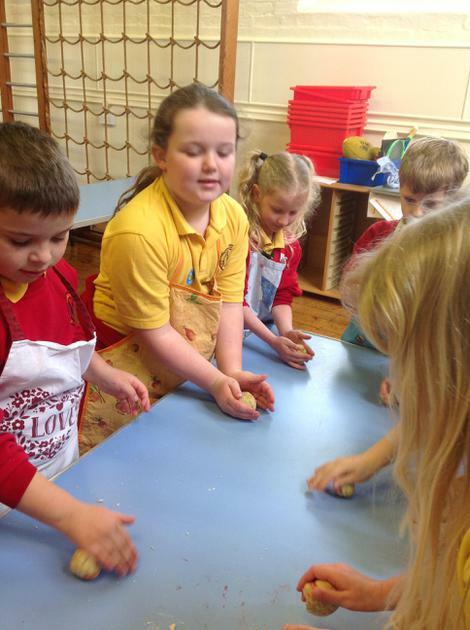 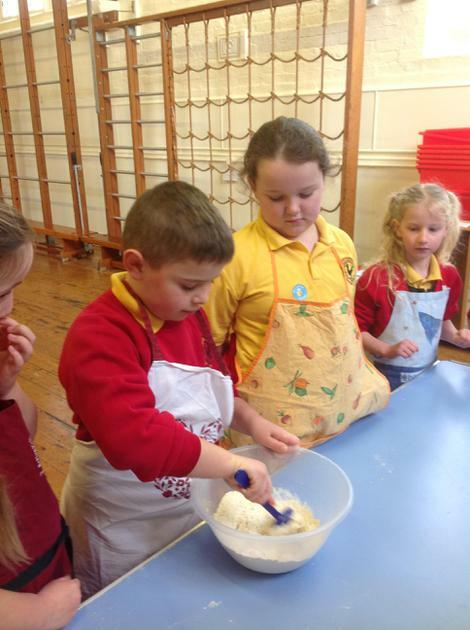 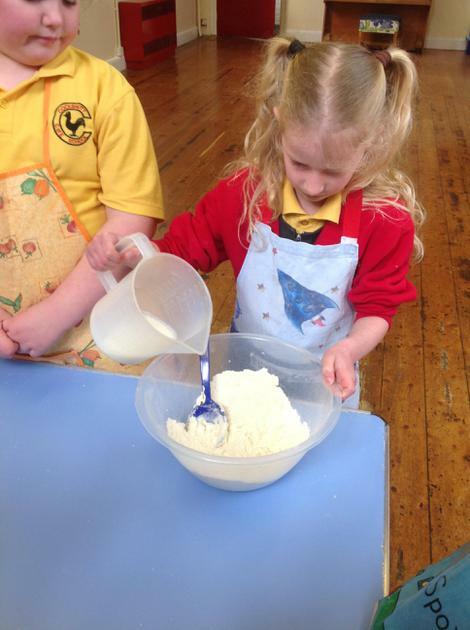 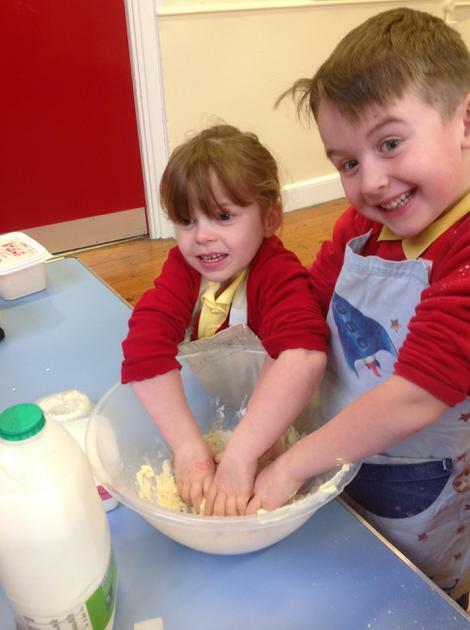 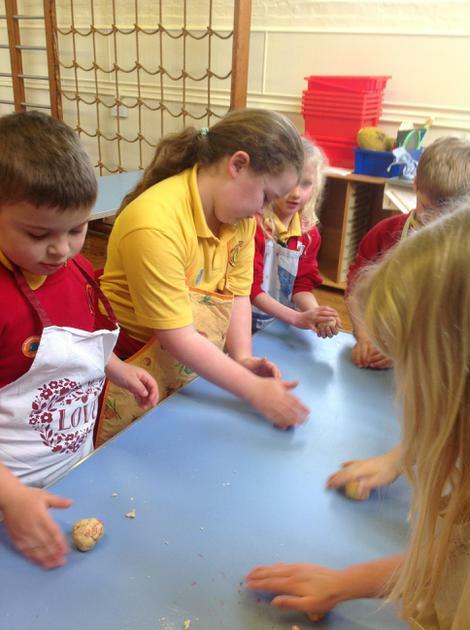 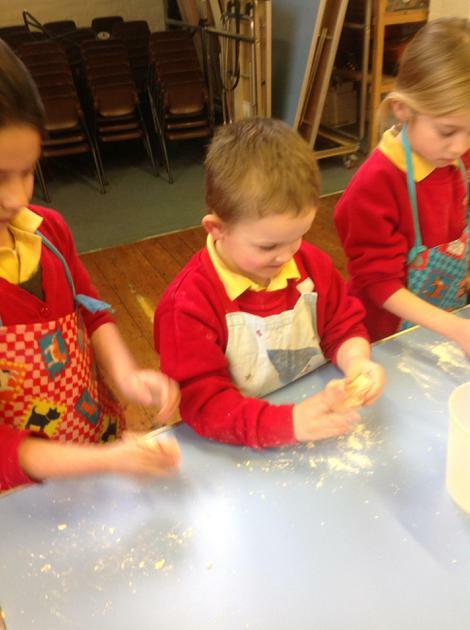 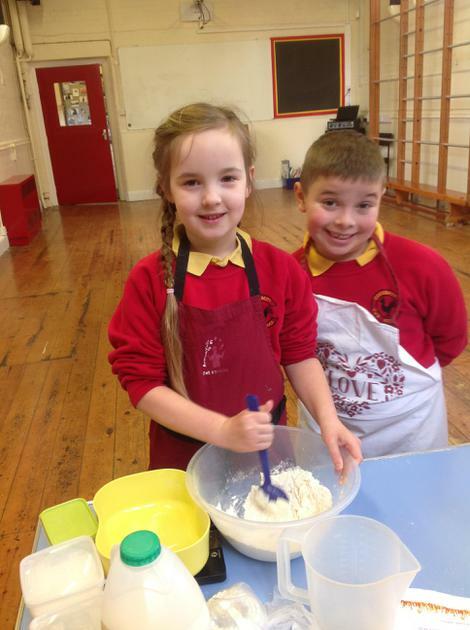 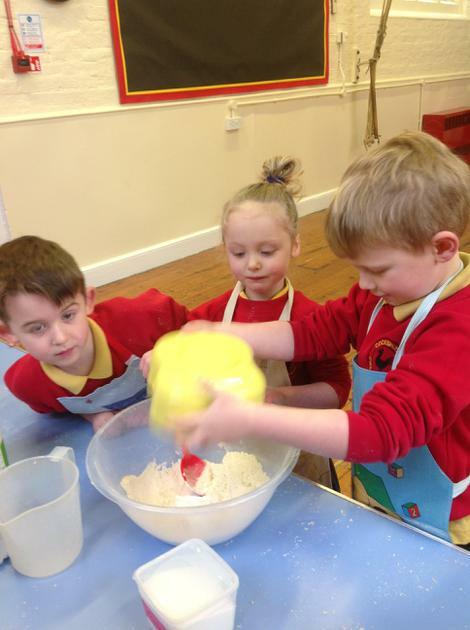 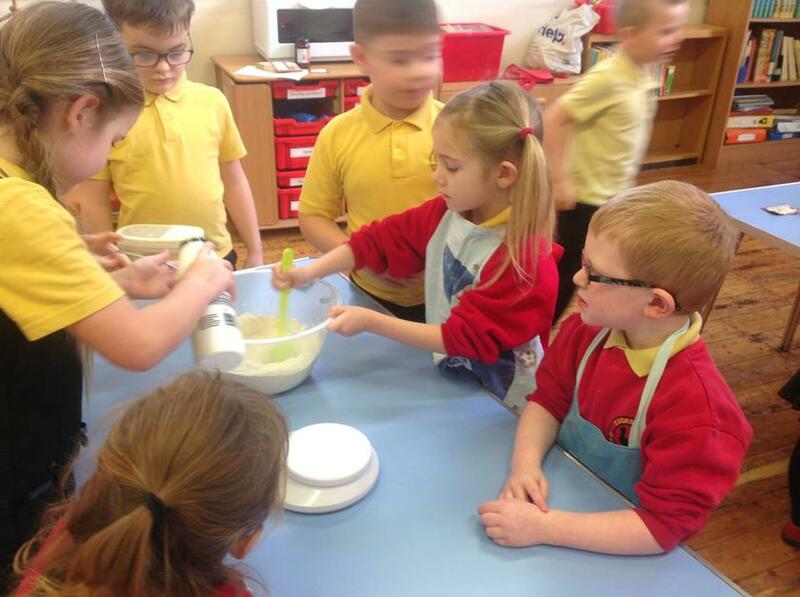 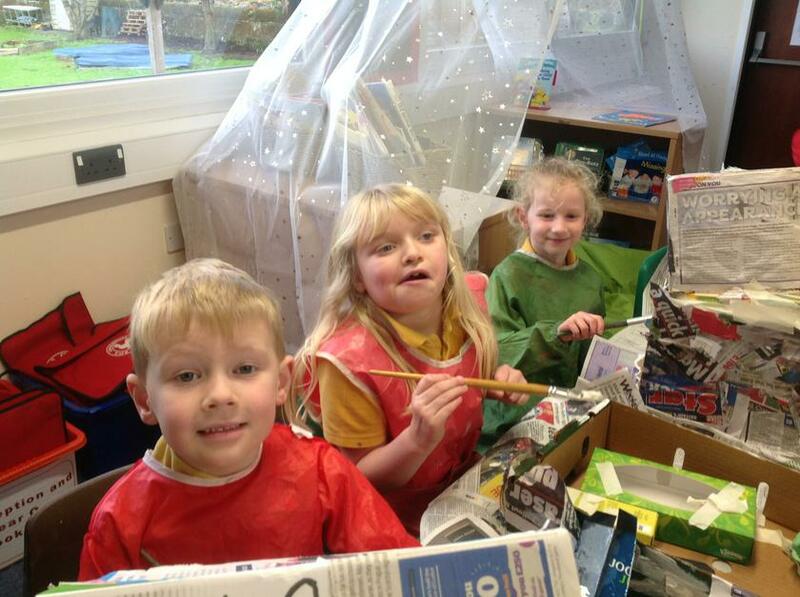 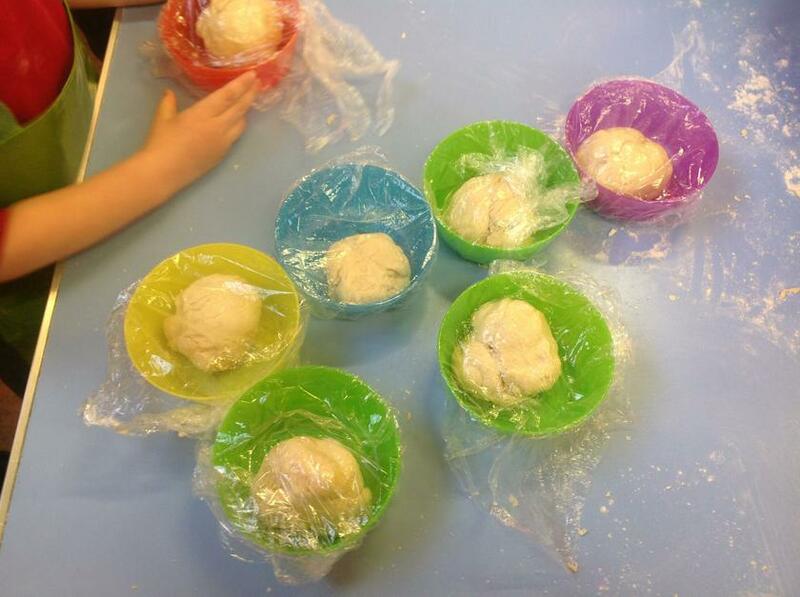 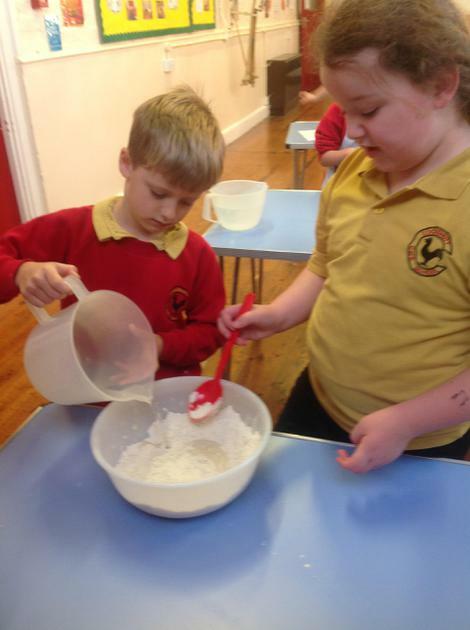 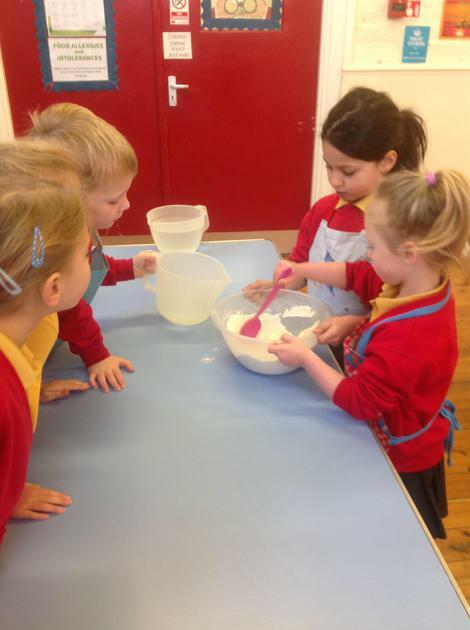 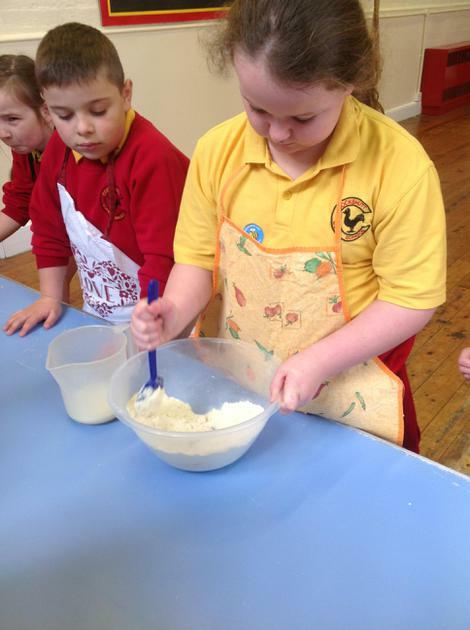 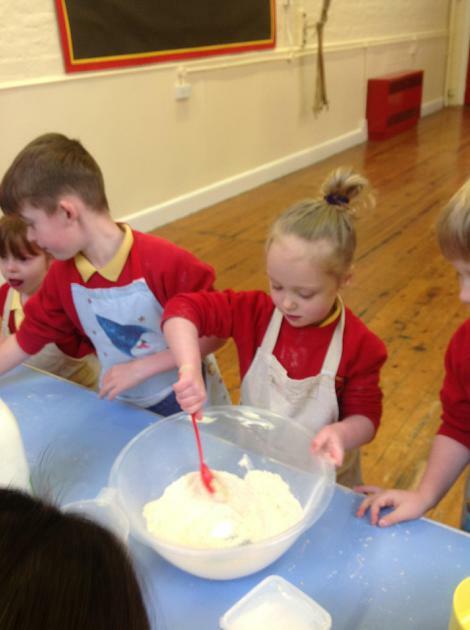 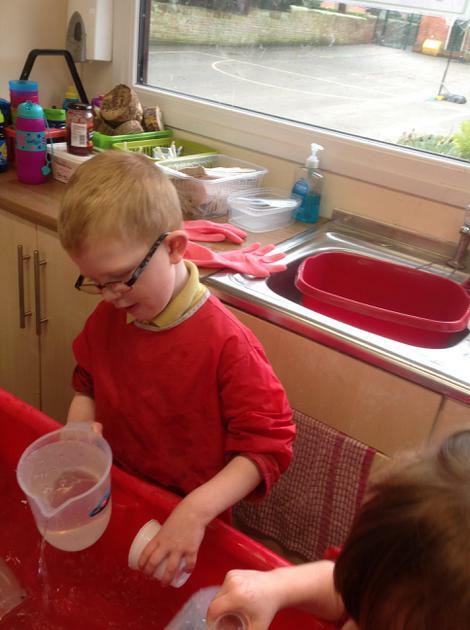 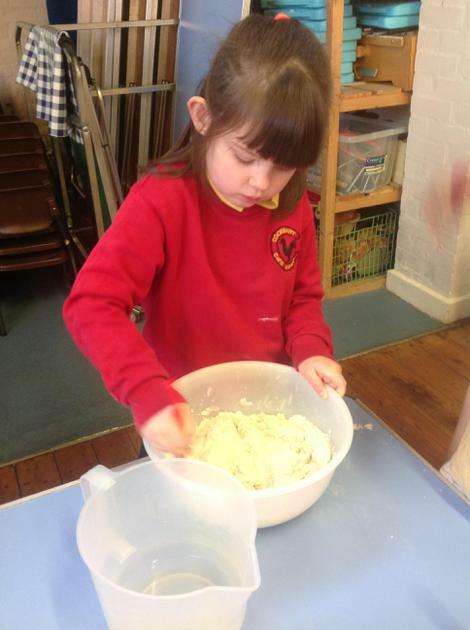 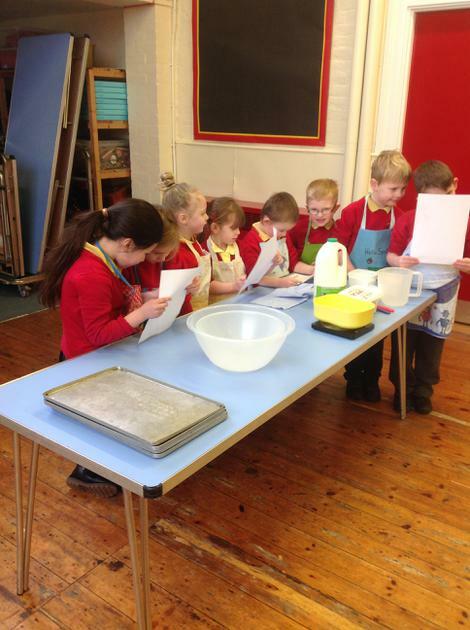 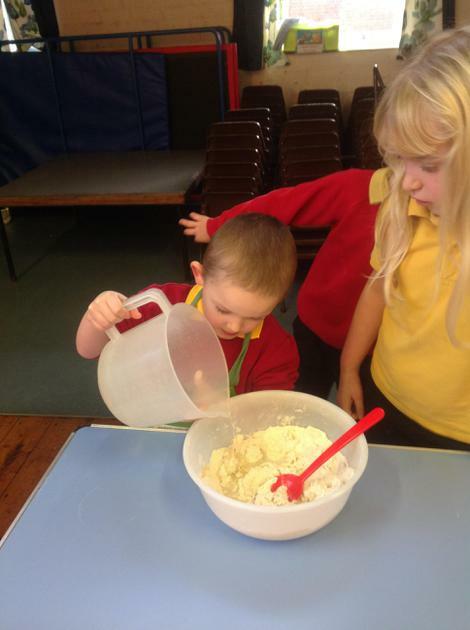 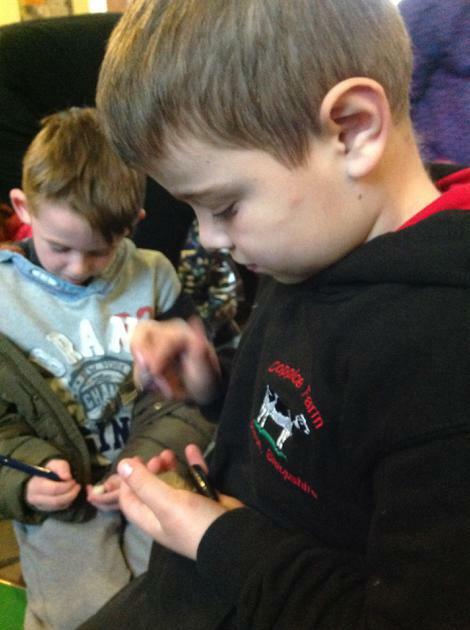 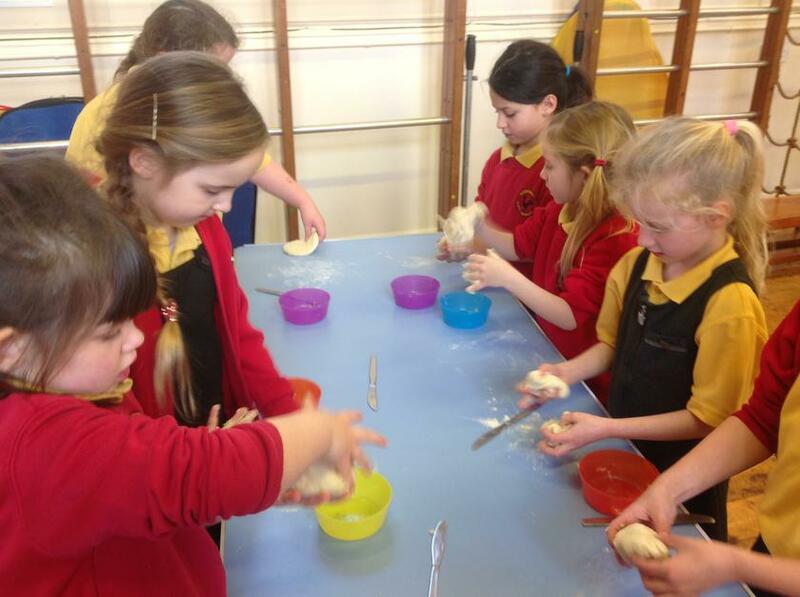 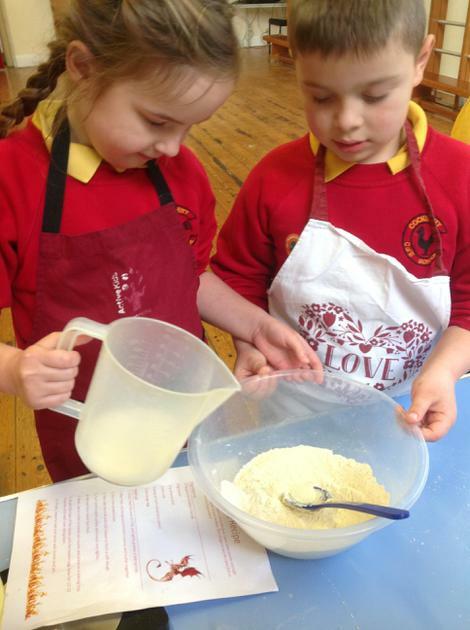 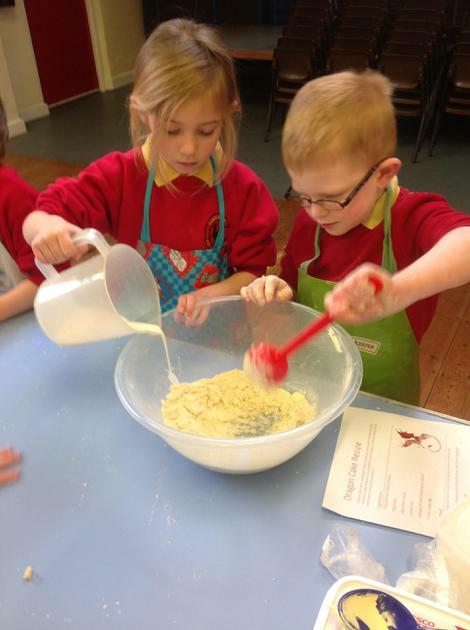 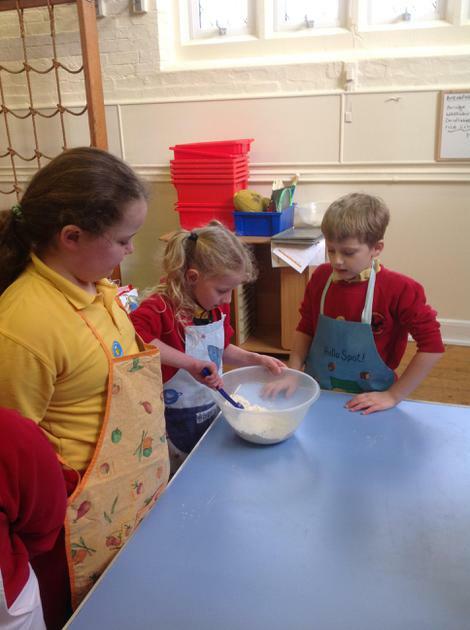 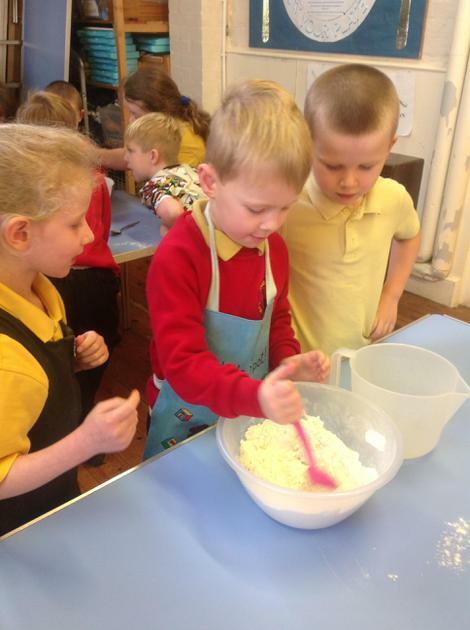 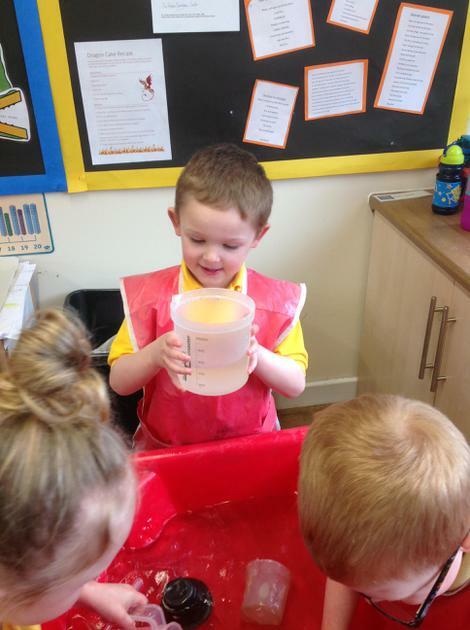 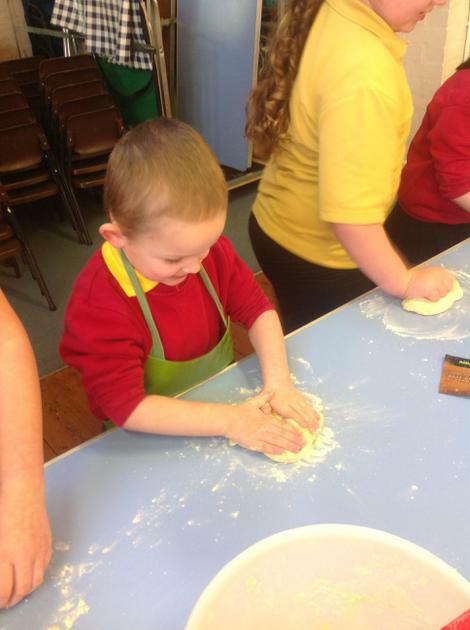 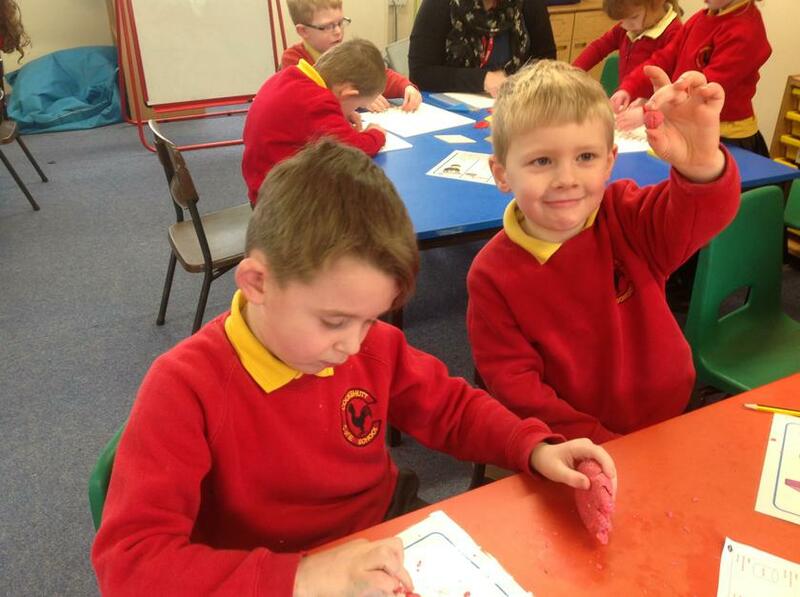 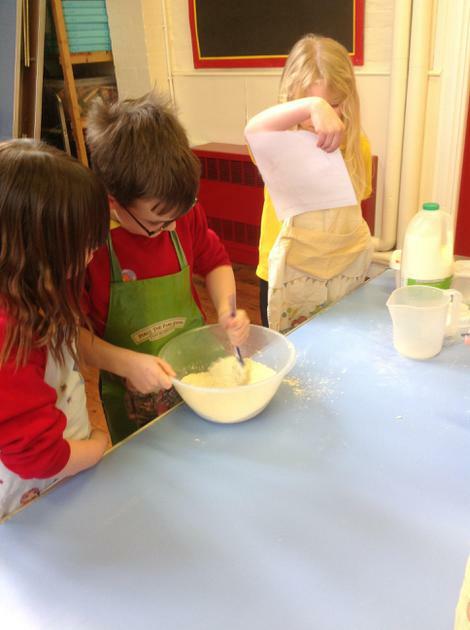 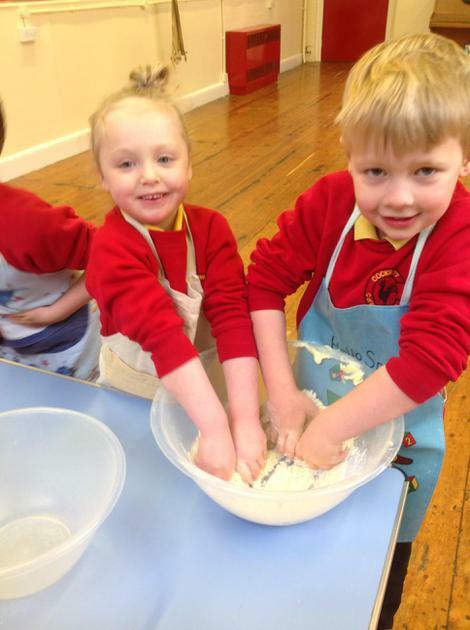 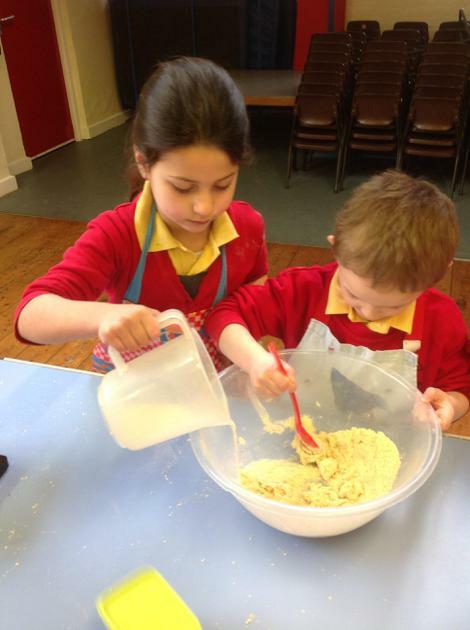 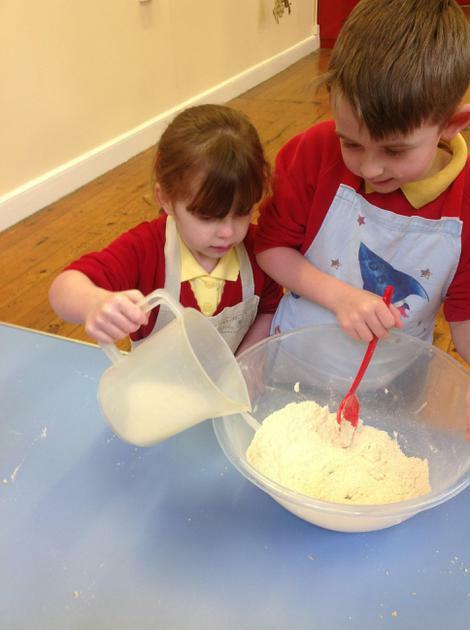 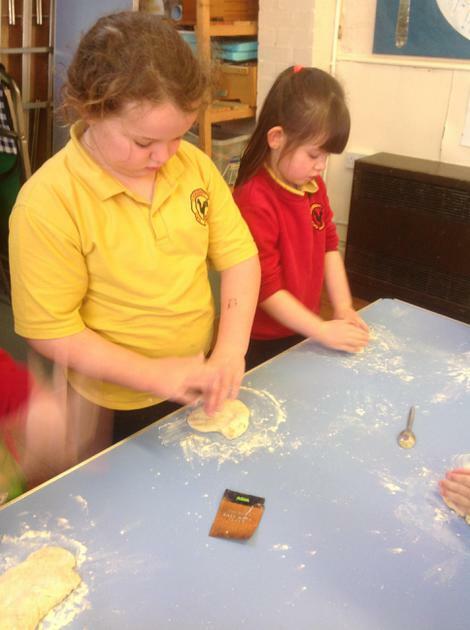 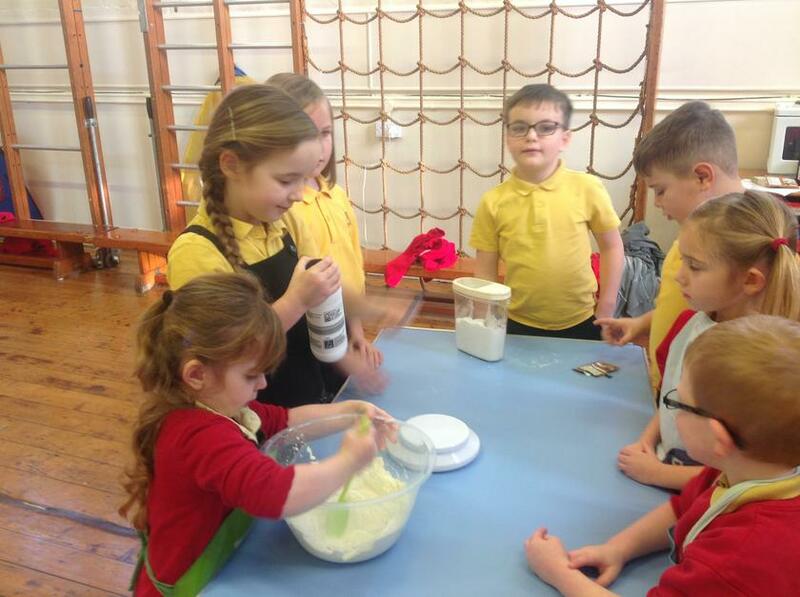 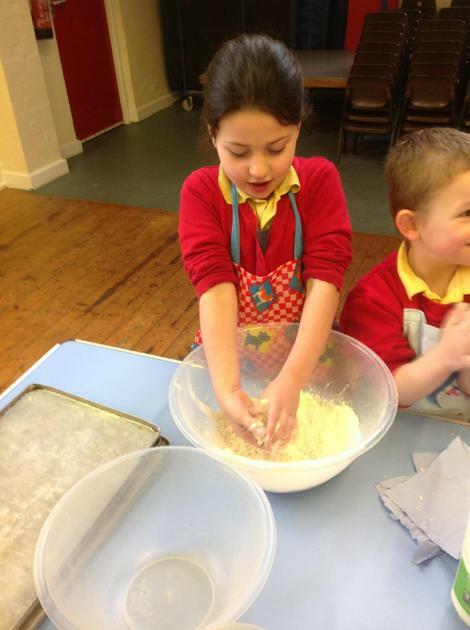 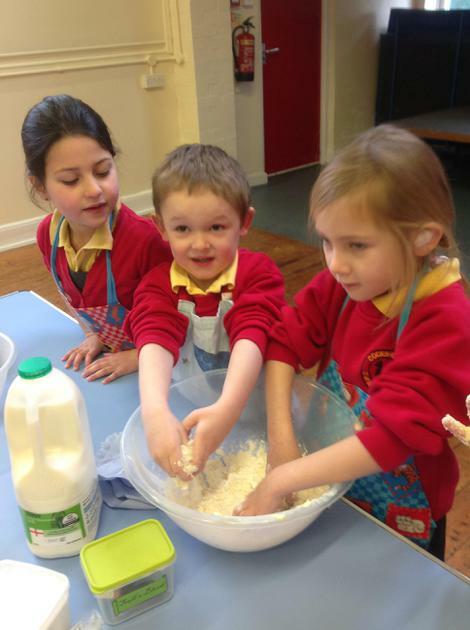 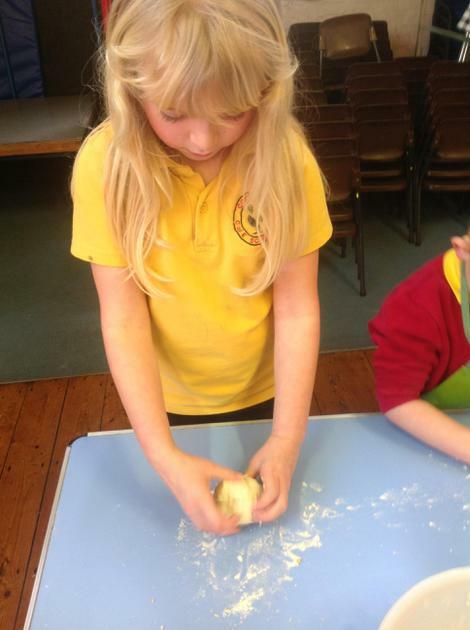 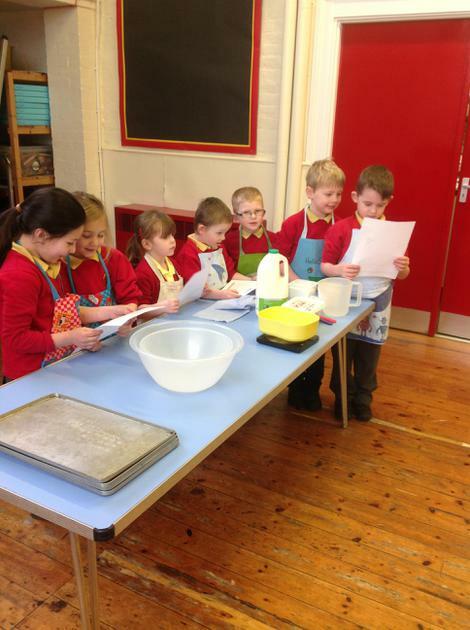 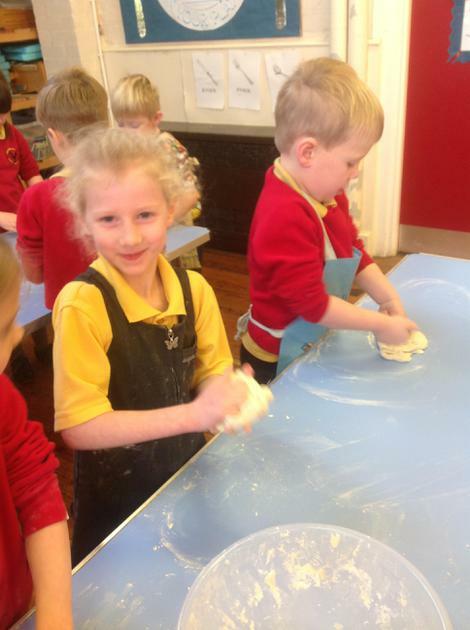 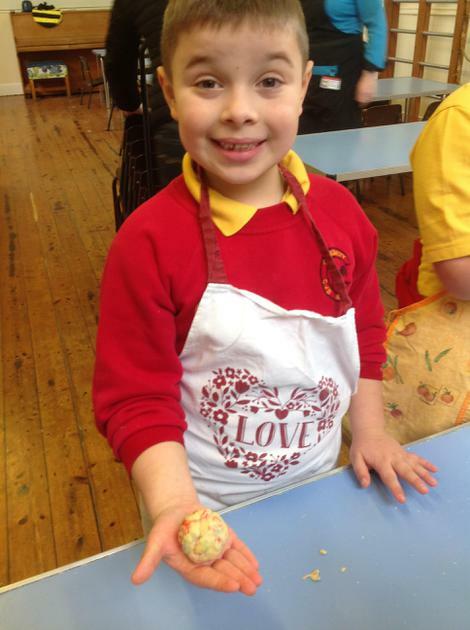 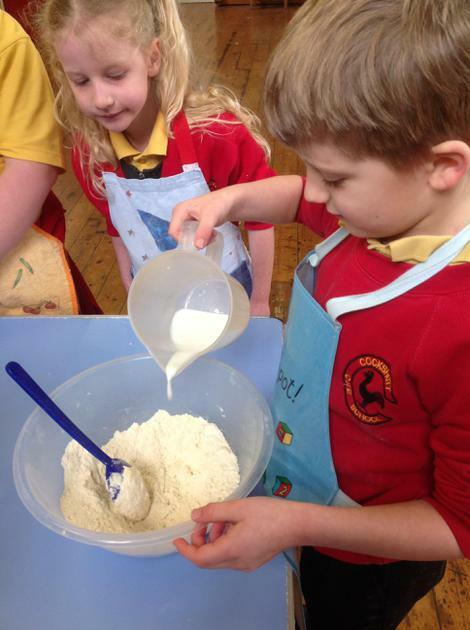 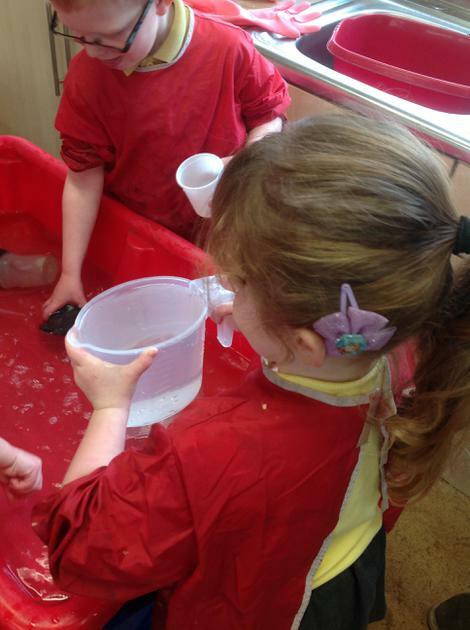 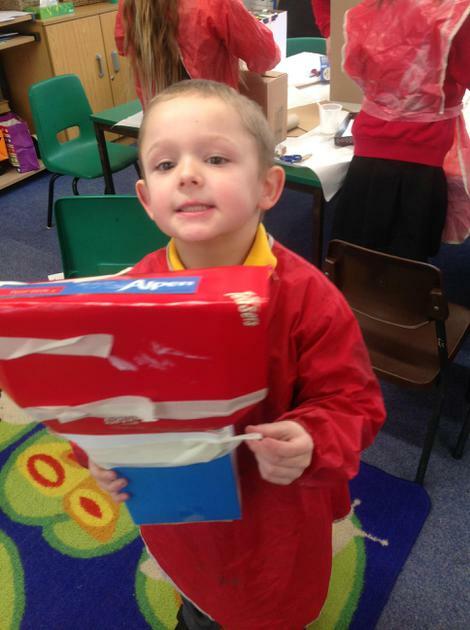 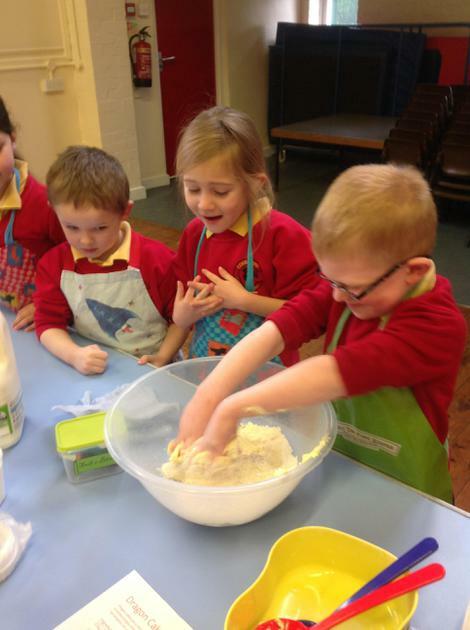 Reception and year 1 love investigating capacity! 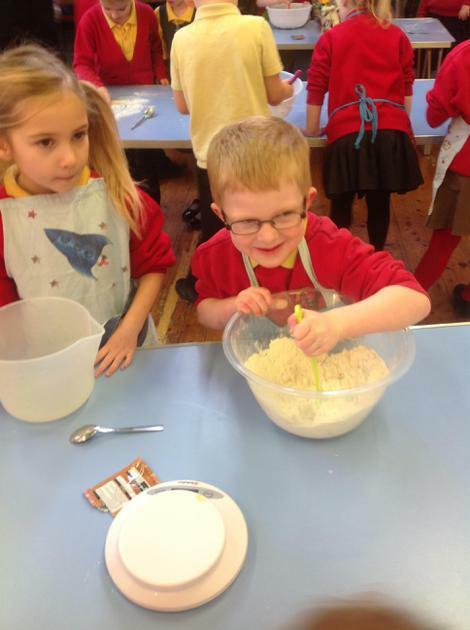 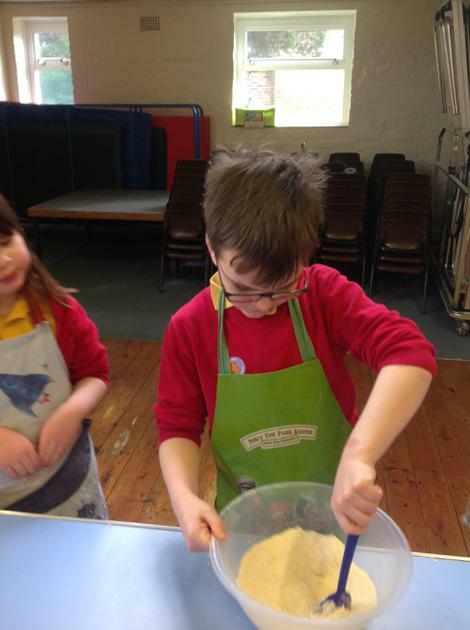 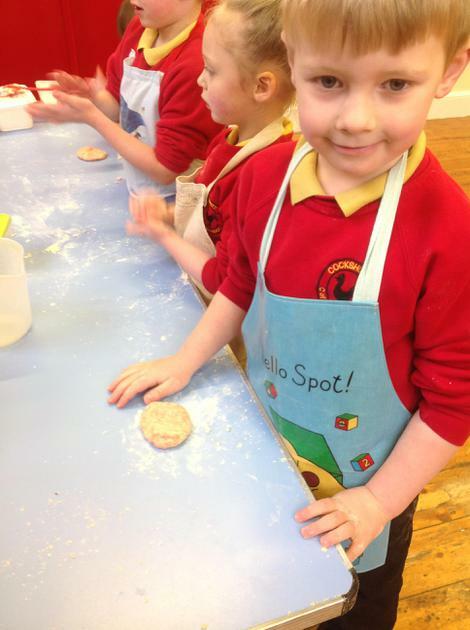 Baking (and taste-testing!) 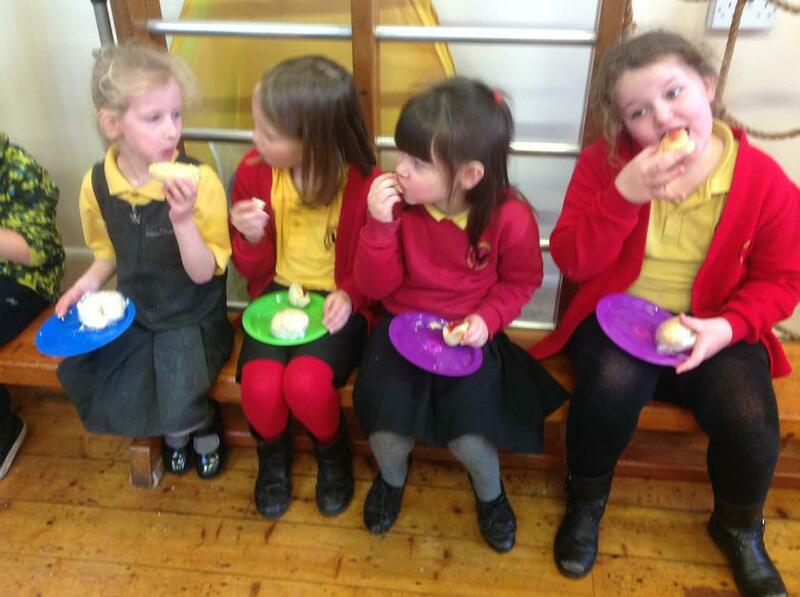 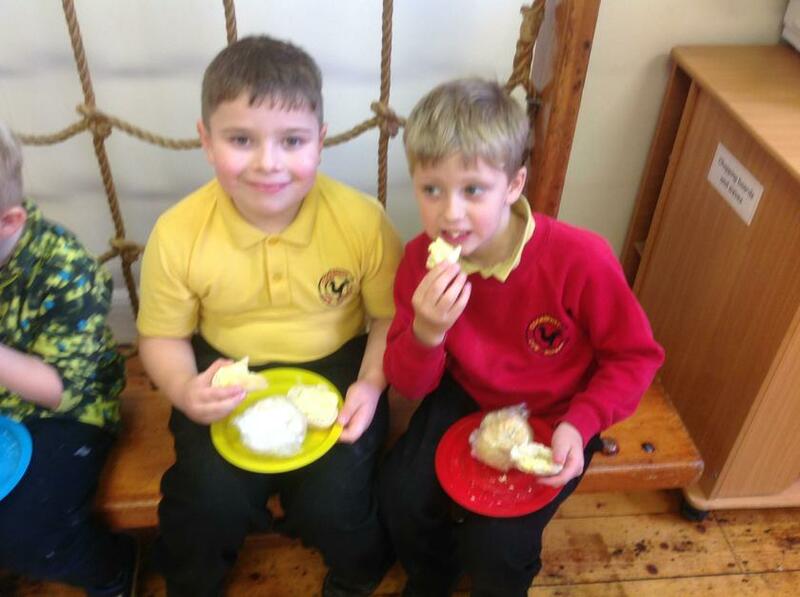 dragon cakes to lure the dragon back to our school. 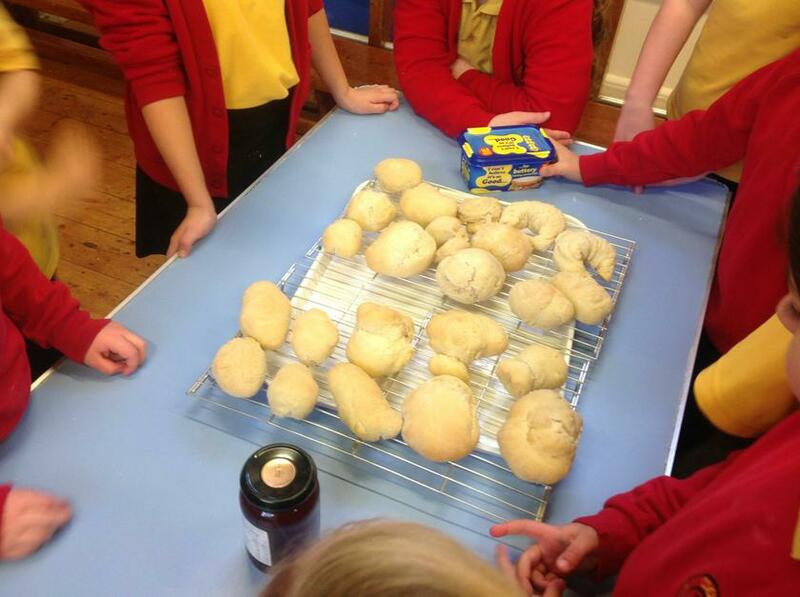 We can confirm that Paul Hollywood would definitely give us a "Hollywood handshake" for these! 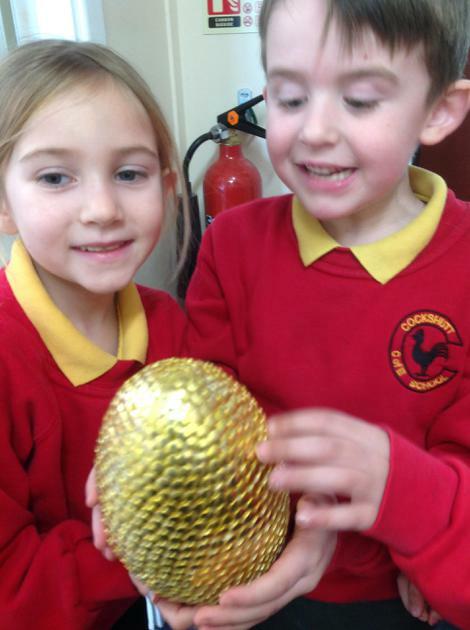 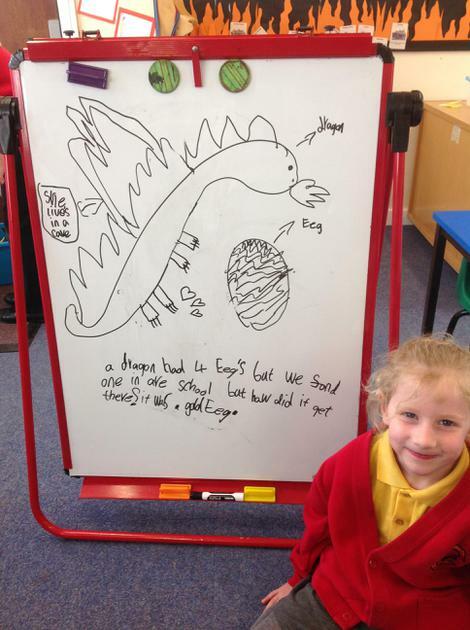 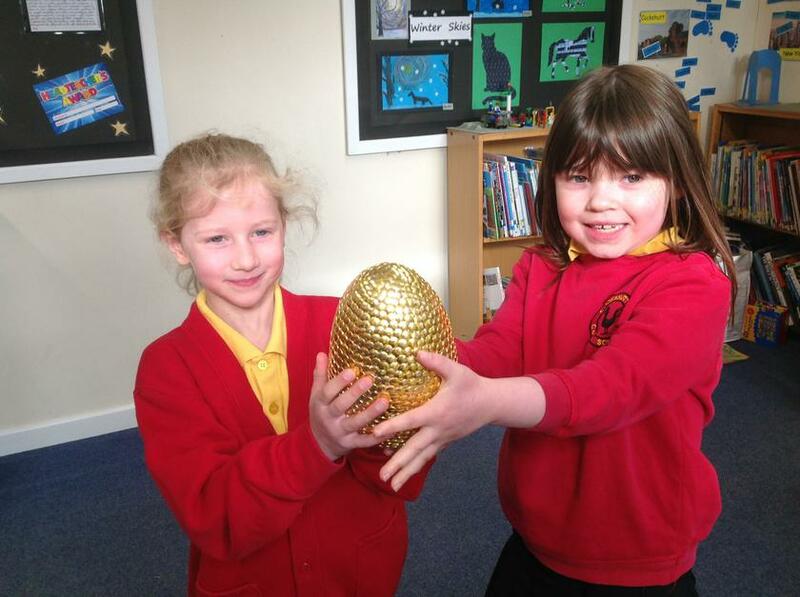 Have we found a REAL dragon egg? 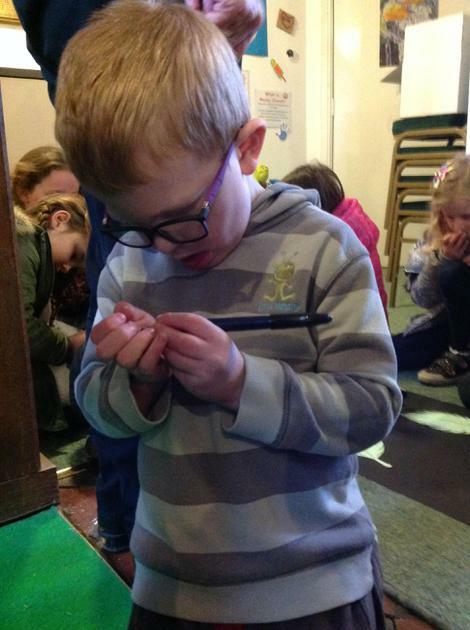 Let's investigate! 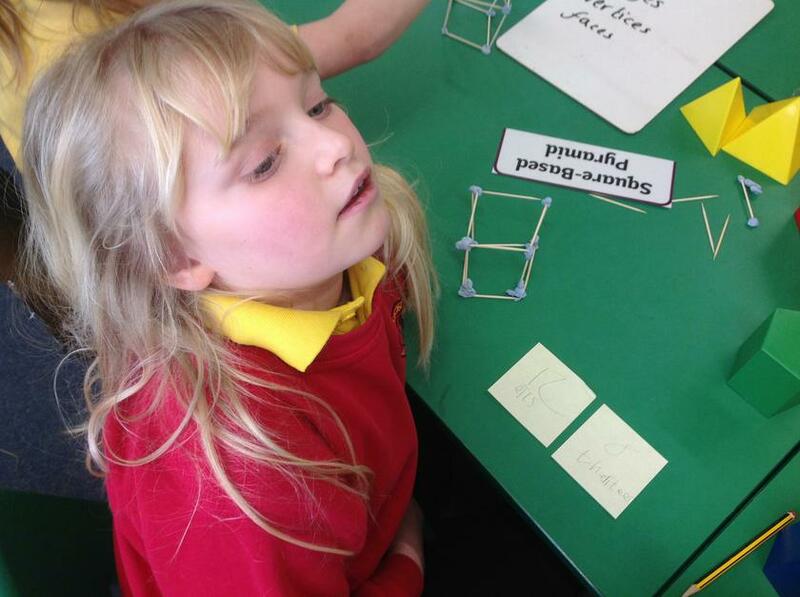 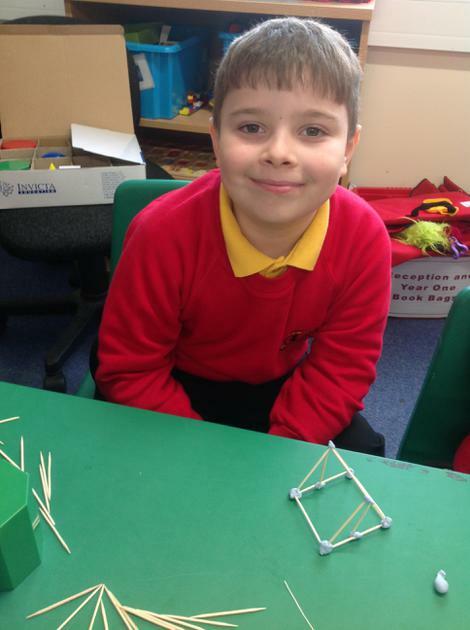 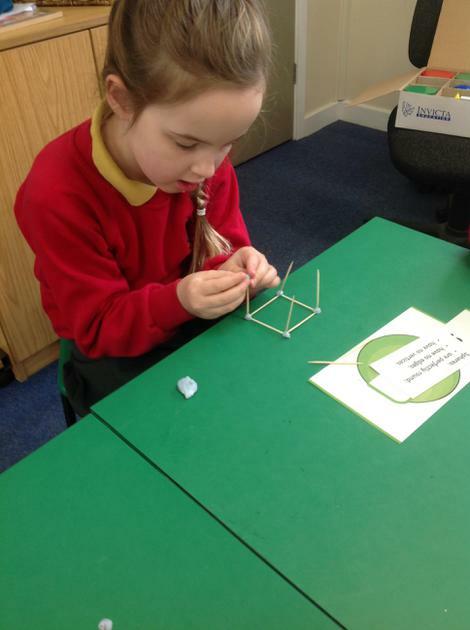 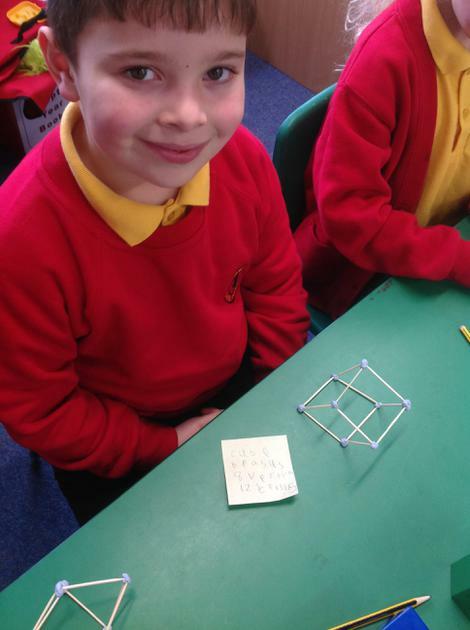 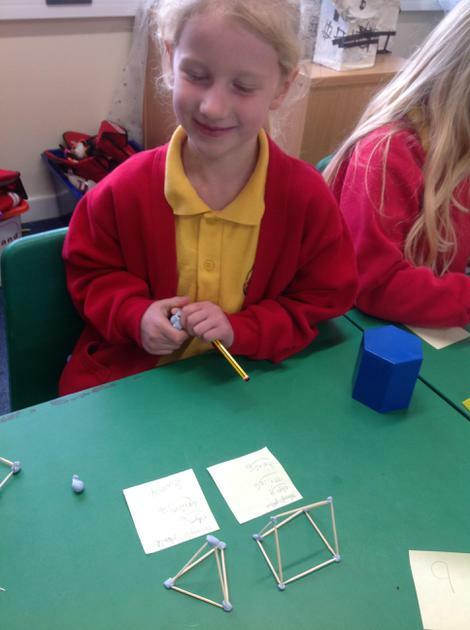 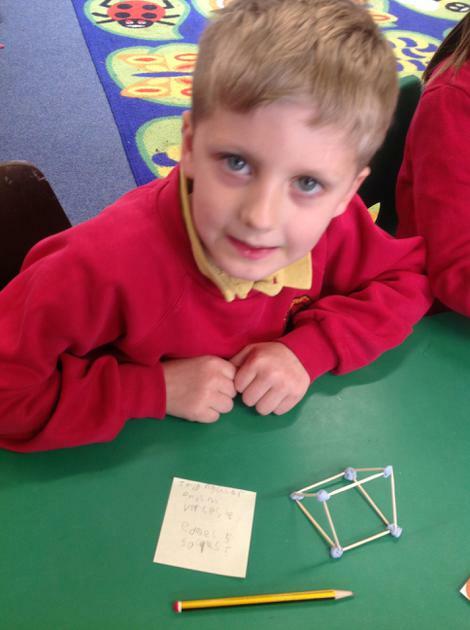 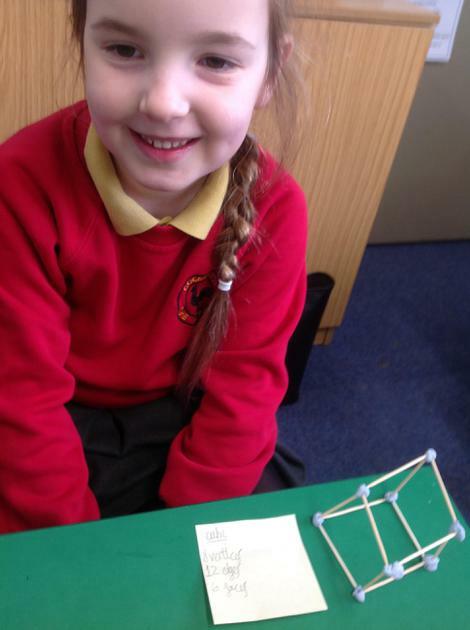 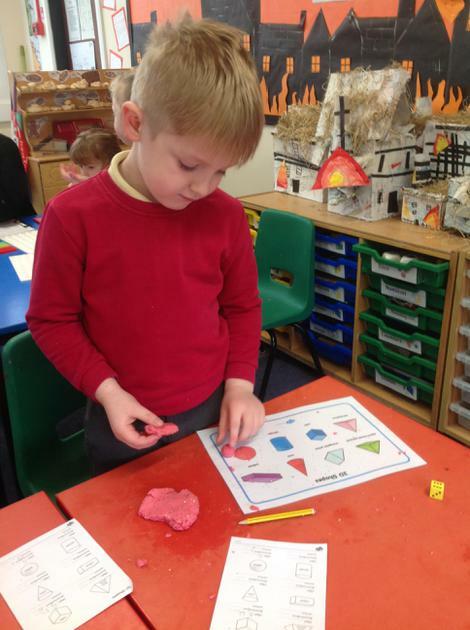 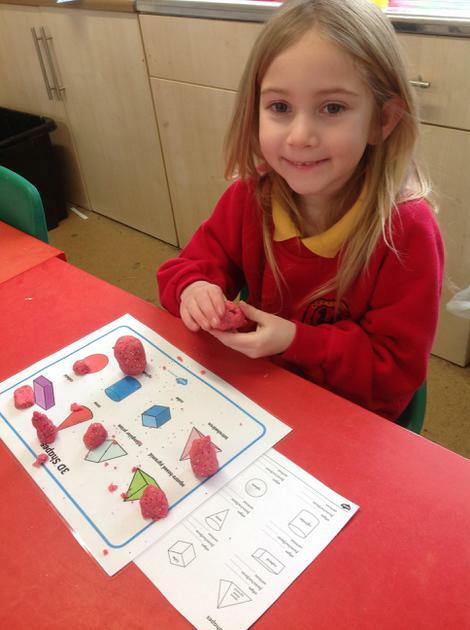 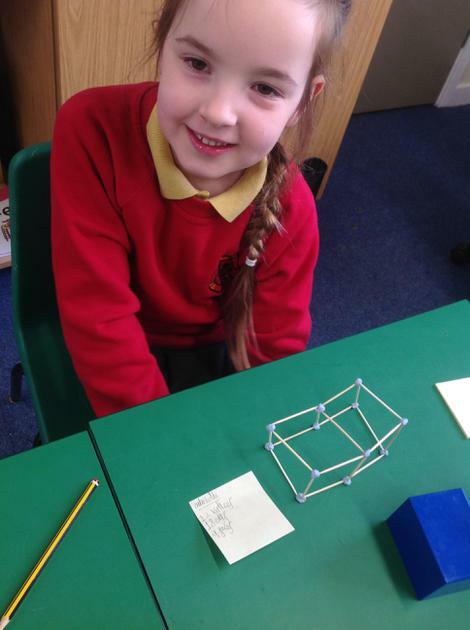 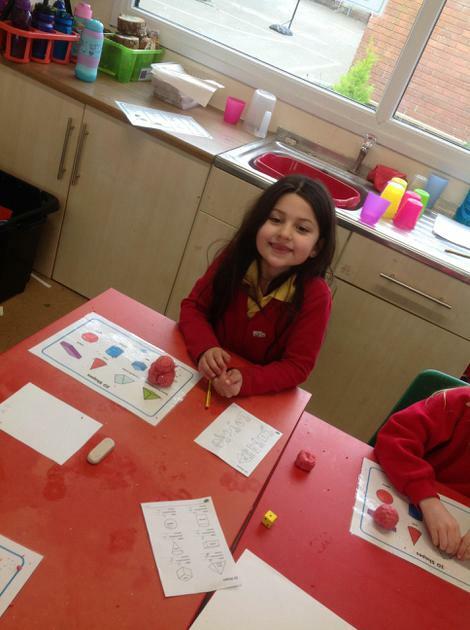 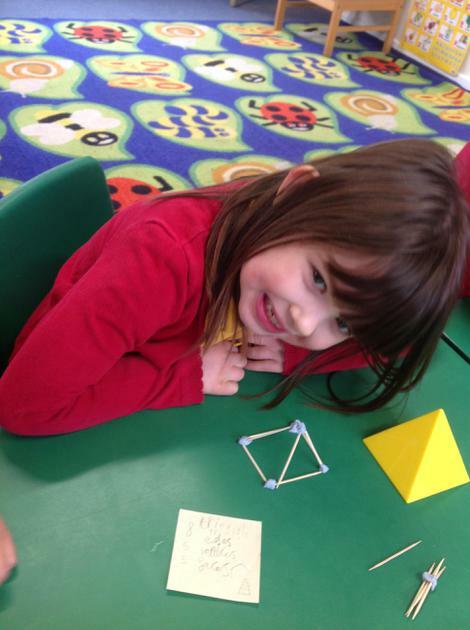 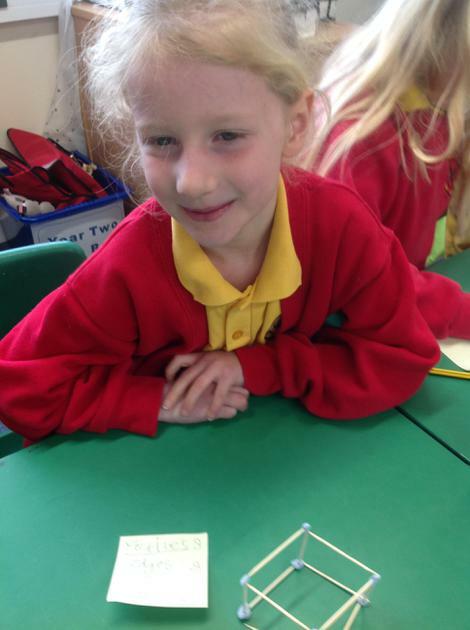 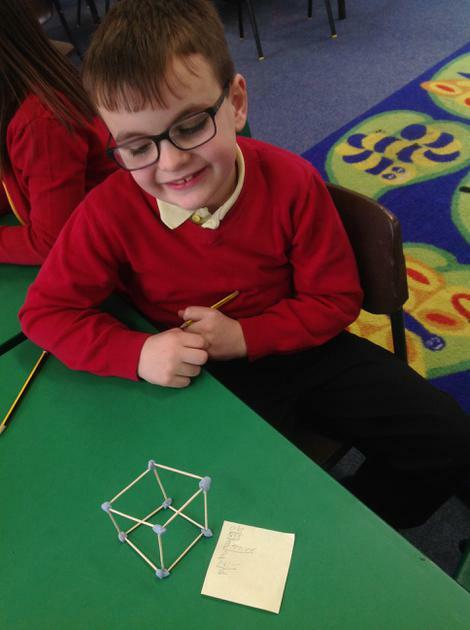 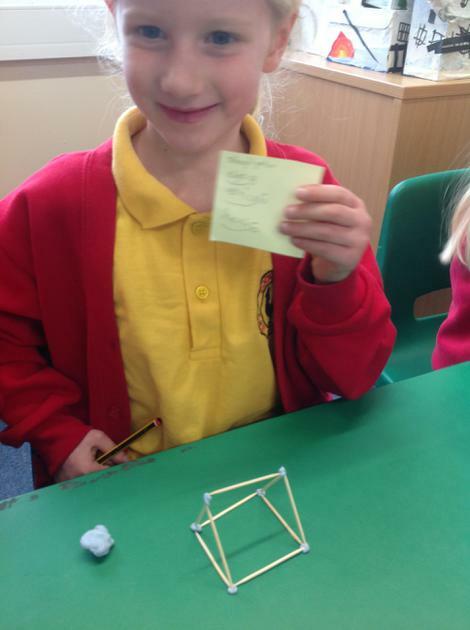 Having fun learning about the properties of 3D shapes using different resources. 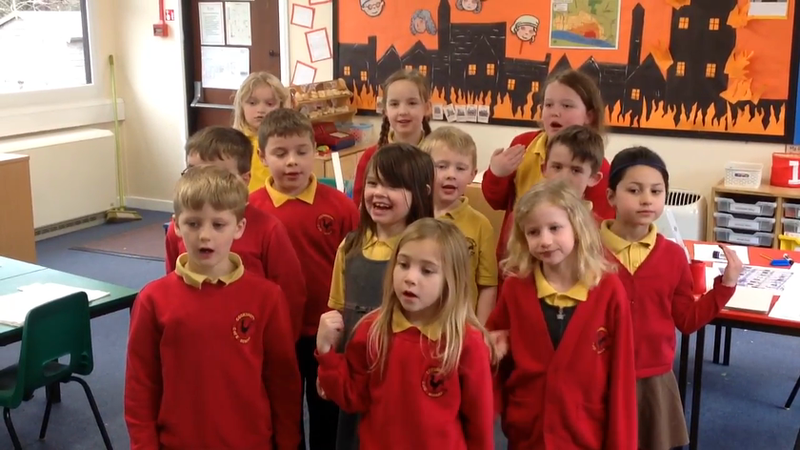 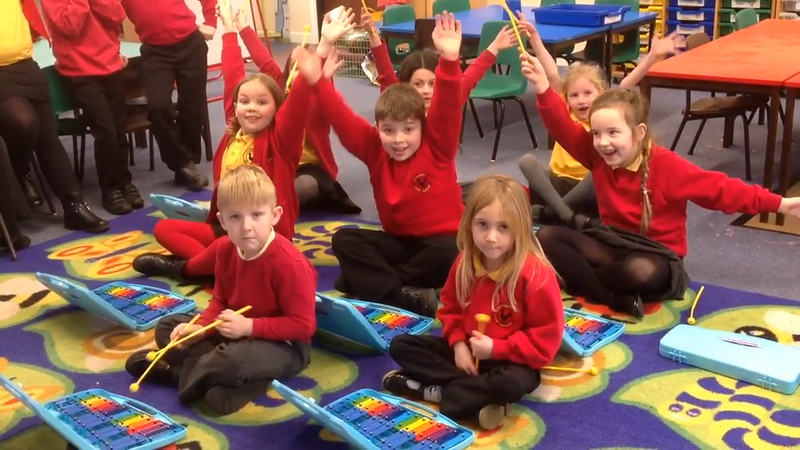 We are loving learning rock songs on the glockenspiels in music this term! 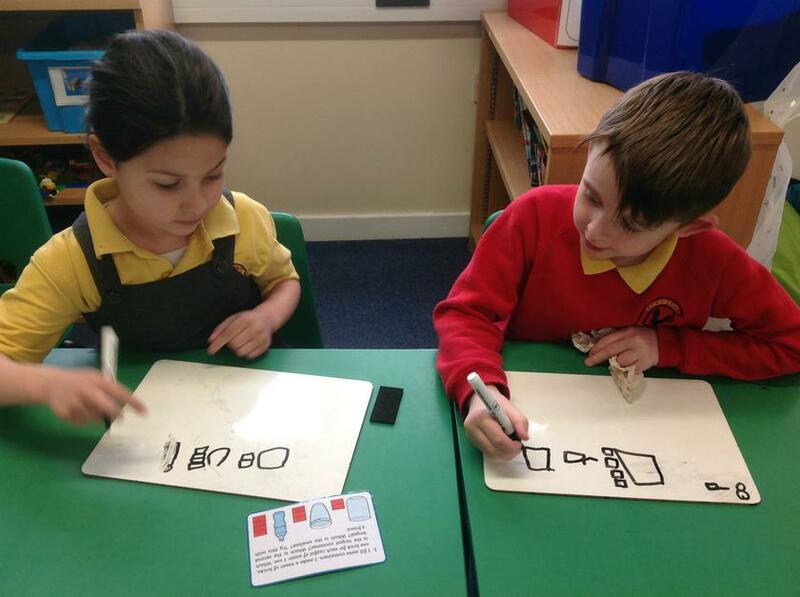 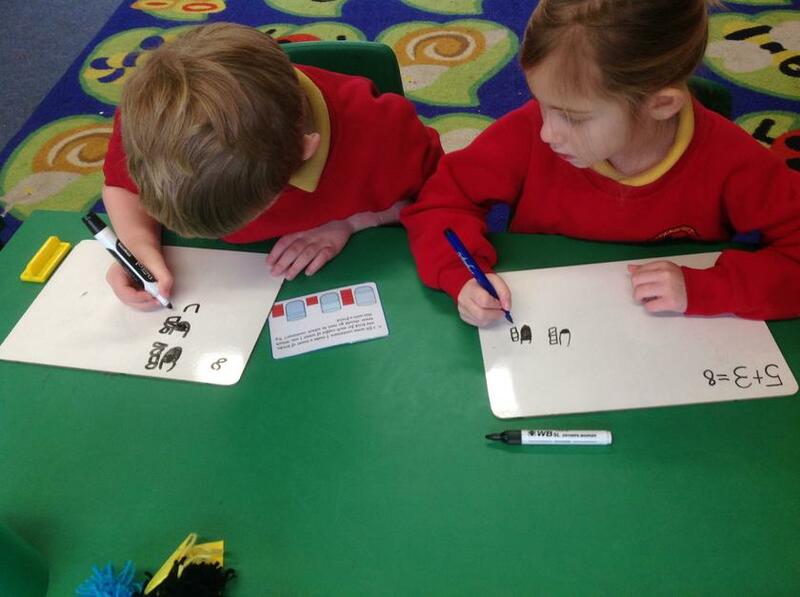 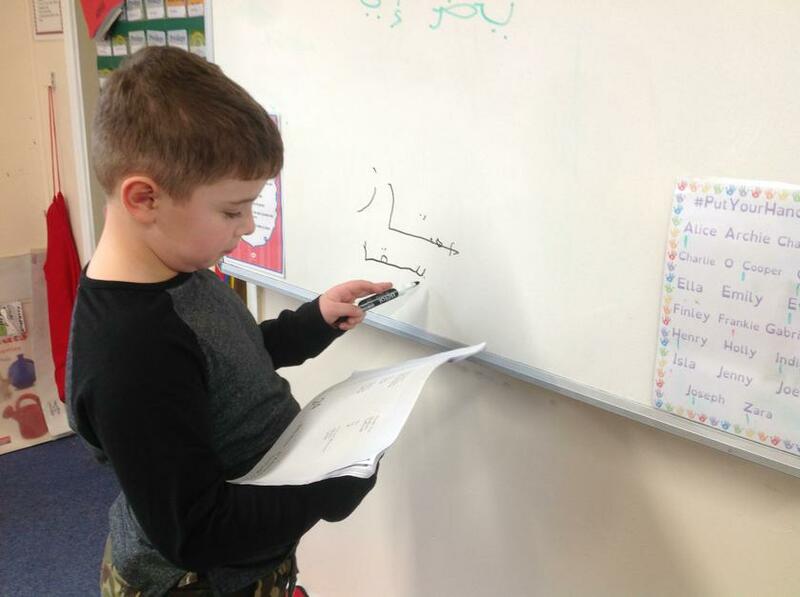 Our year ones are brilliant phonics teachers! 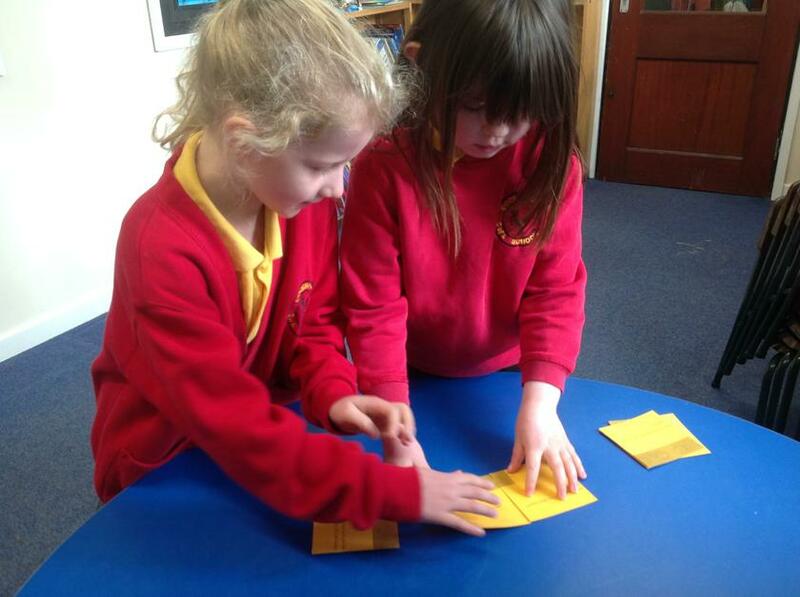 The receptioners loved being taught phonics by the year ones. 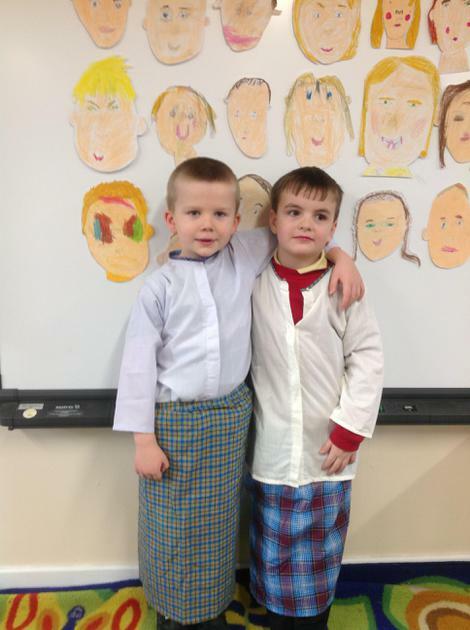 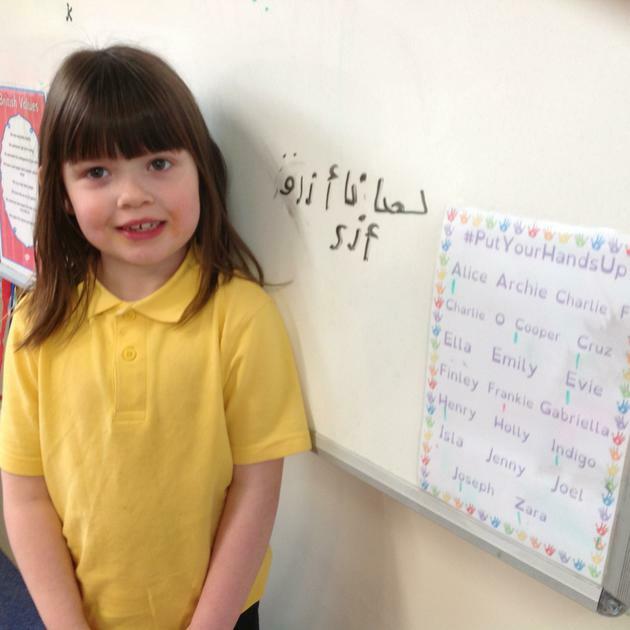 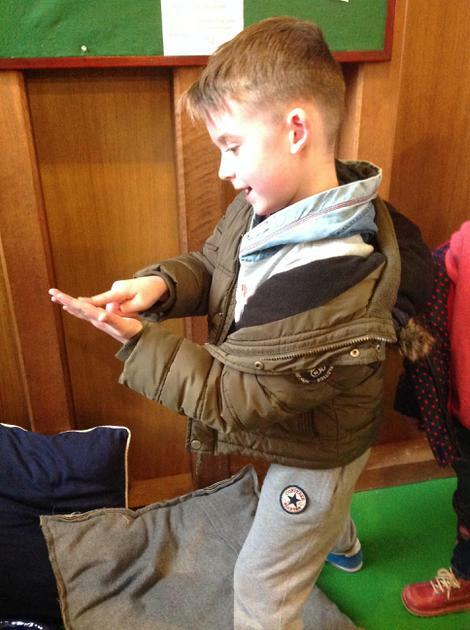 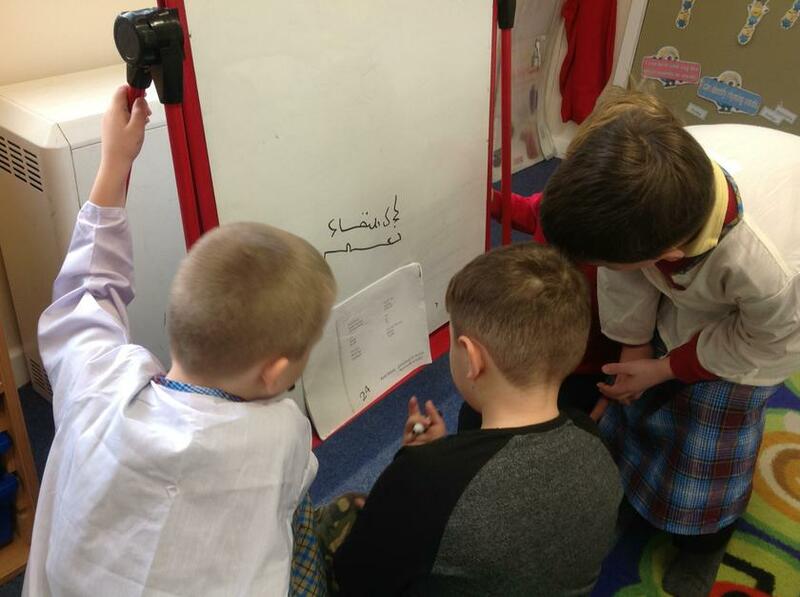 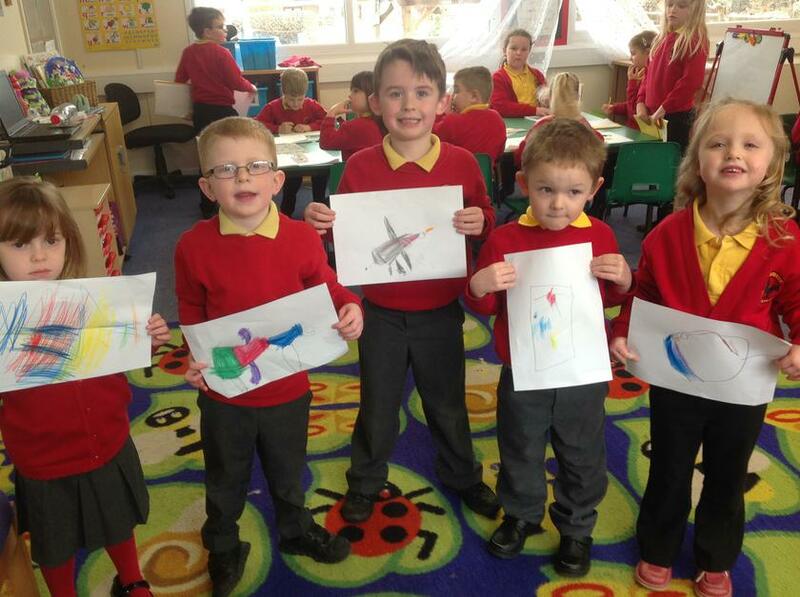 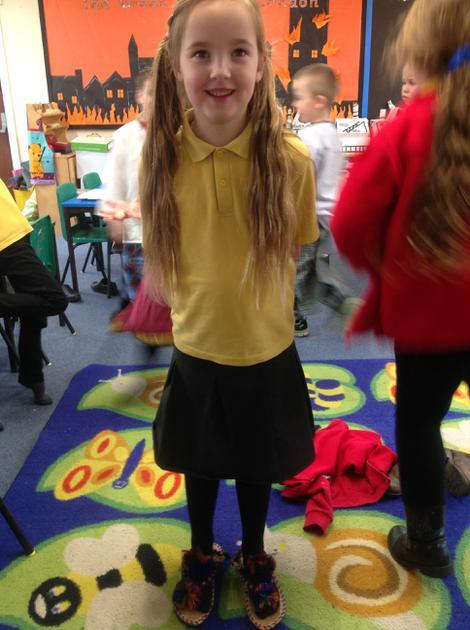 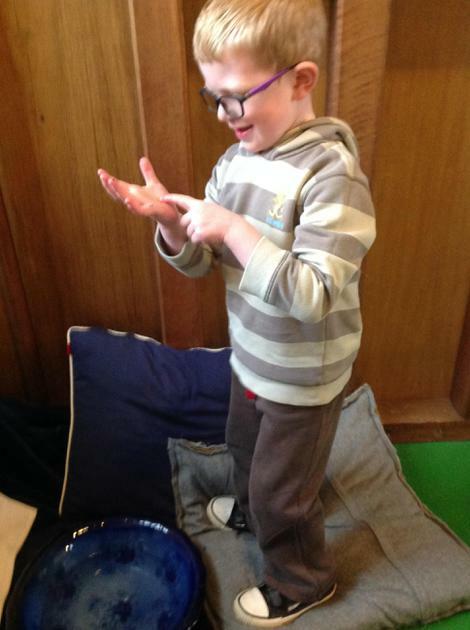 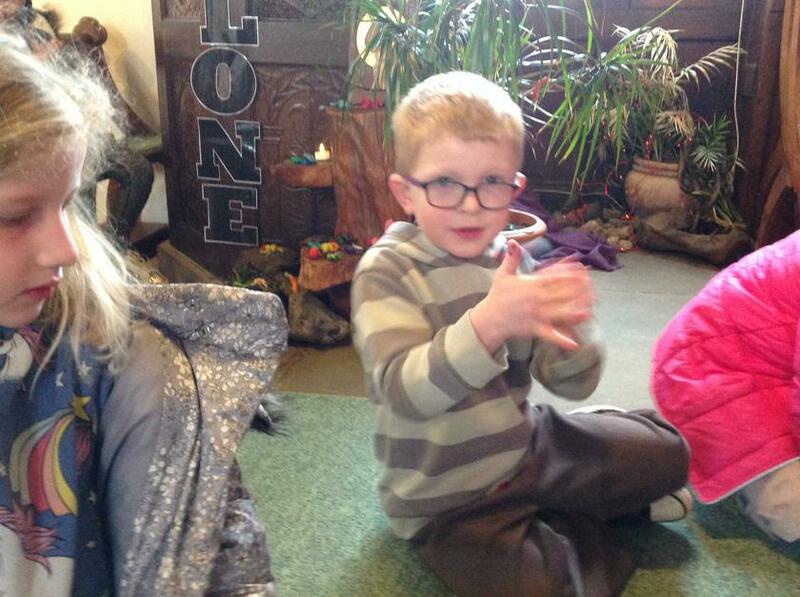 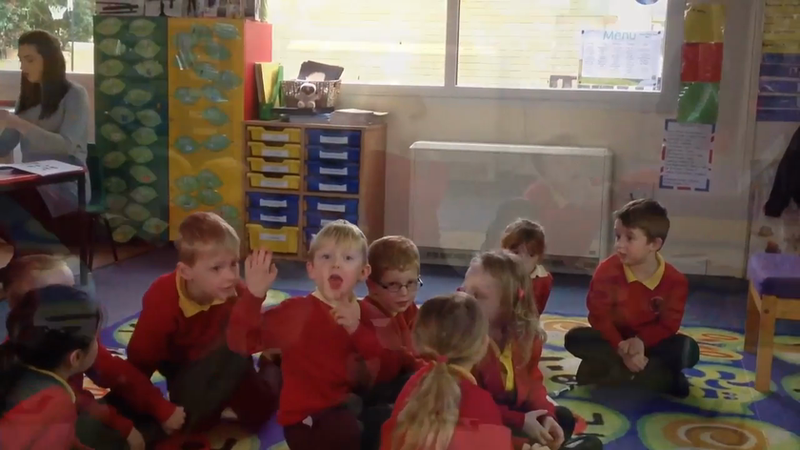 The year ones were incredibly proud of the receptioners as they learnt to read real and alien words. 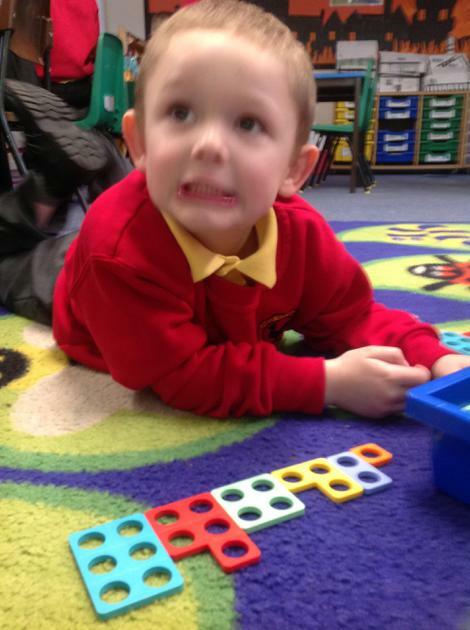 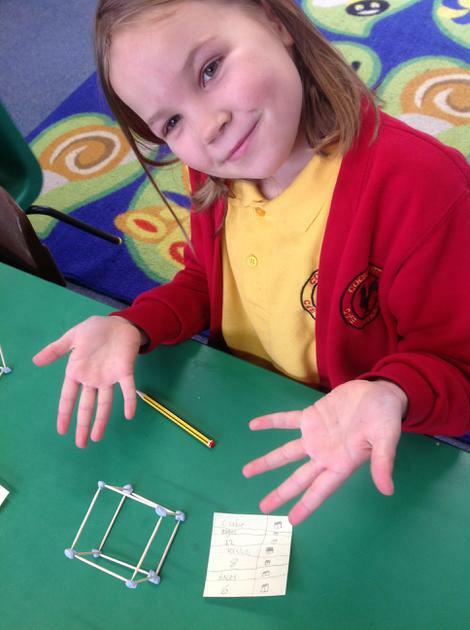 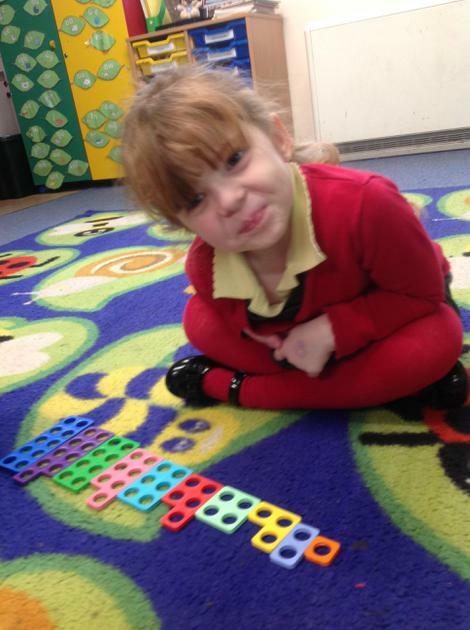 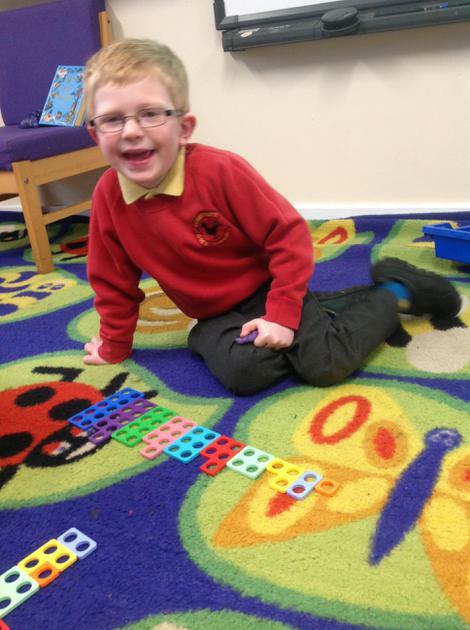 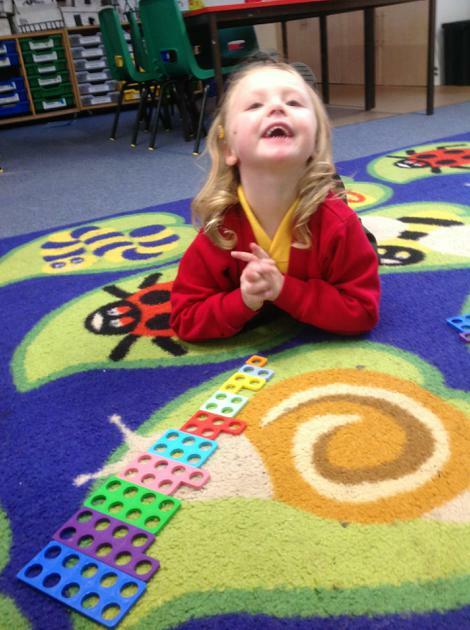 We use lots of different resources to learn our numbers in reception. 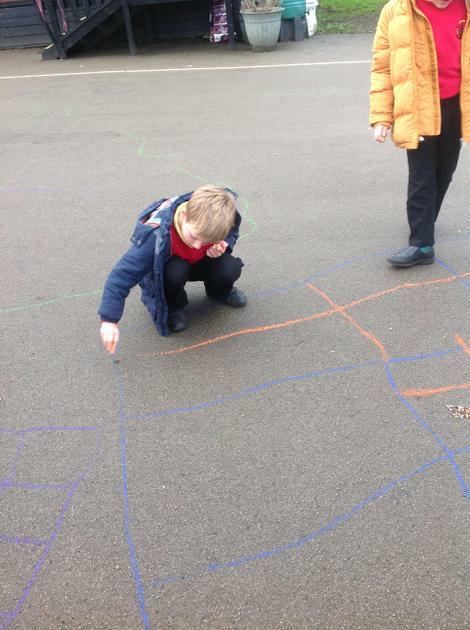 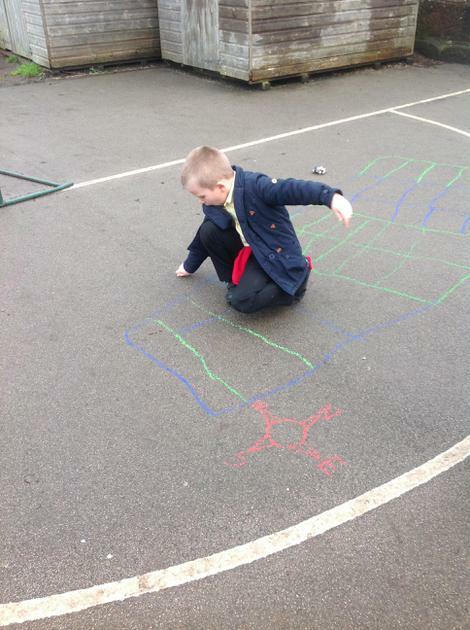 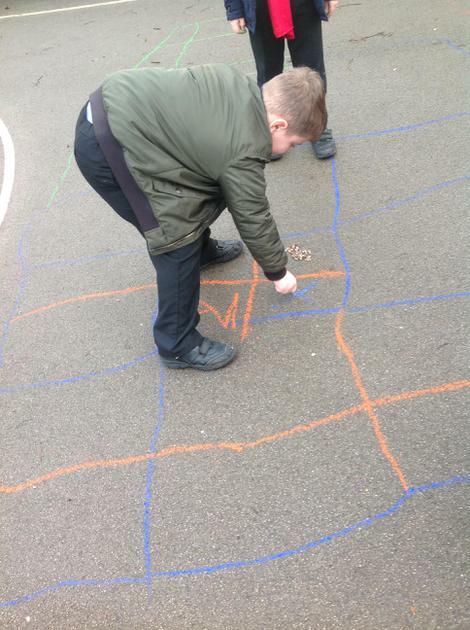 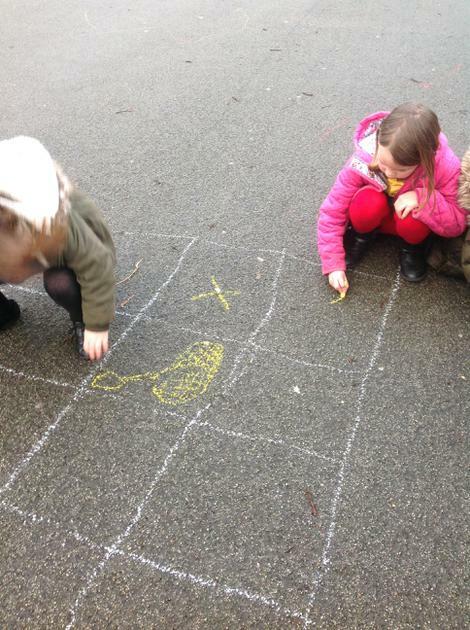 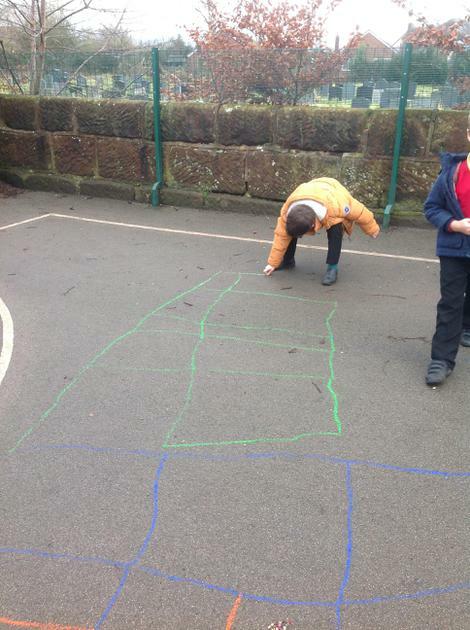 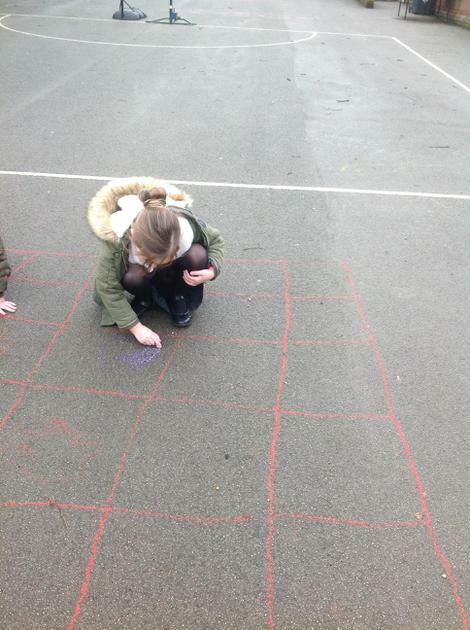 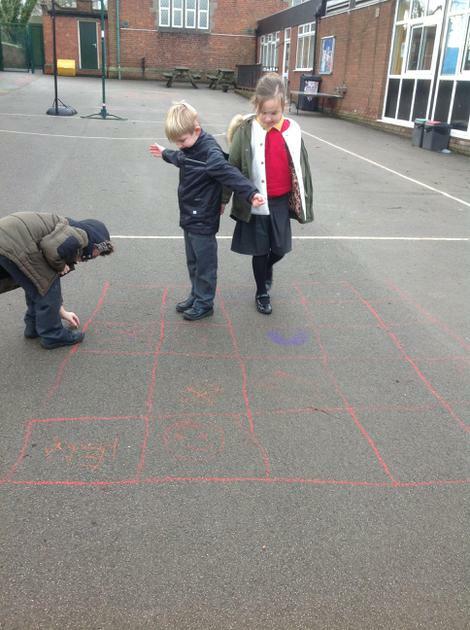 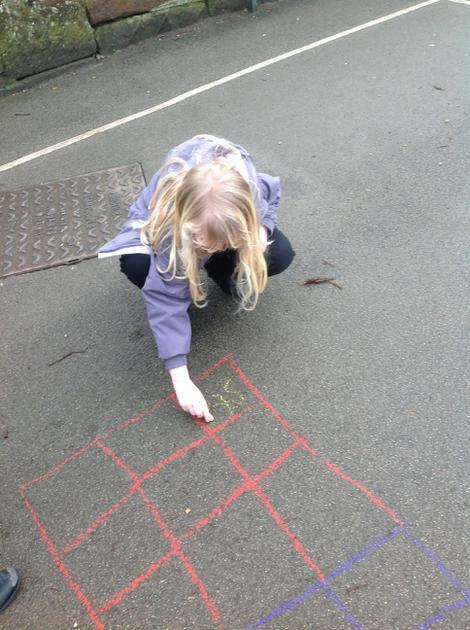 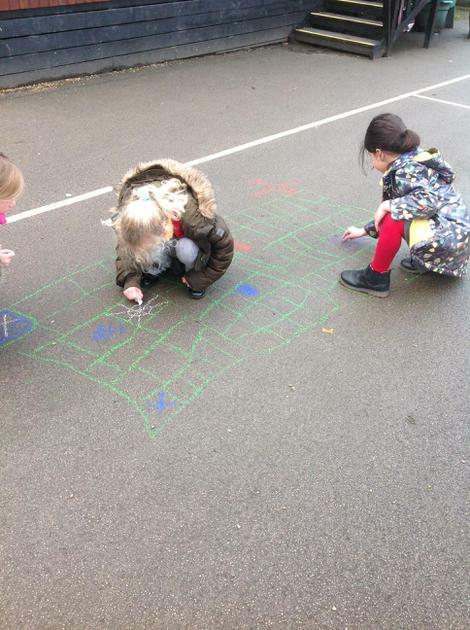 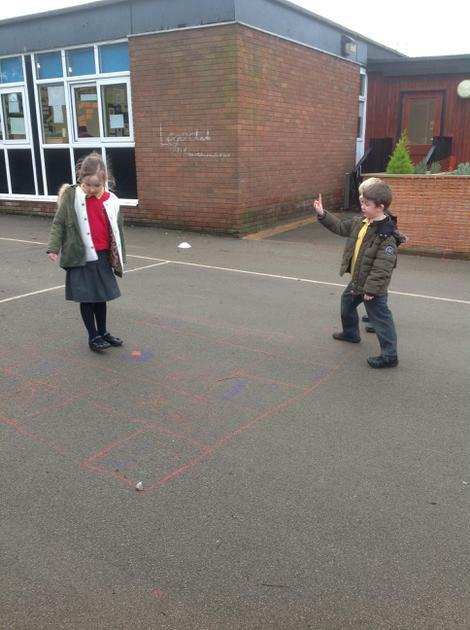 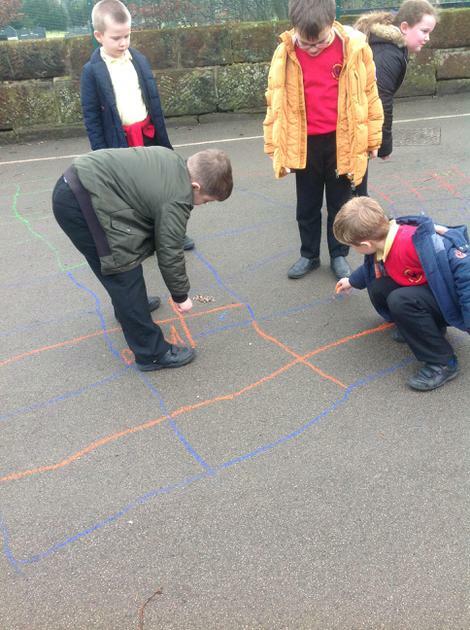 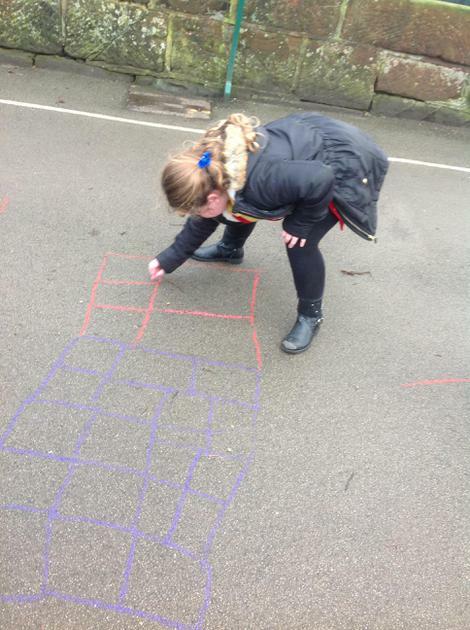 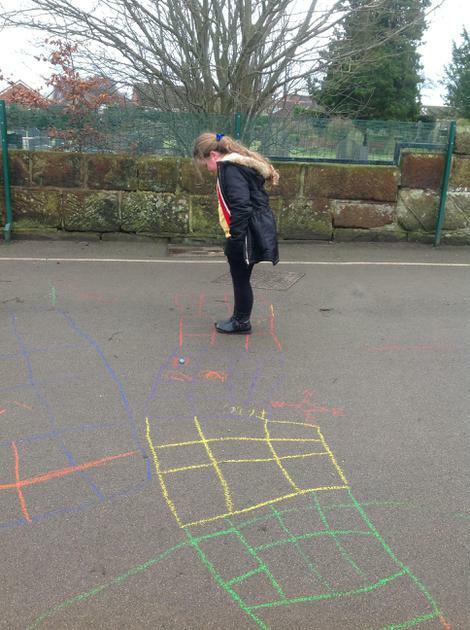 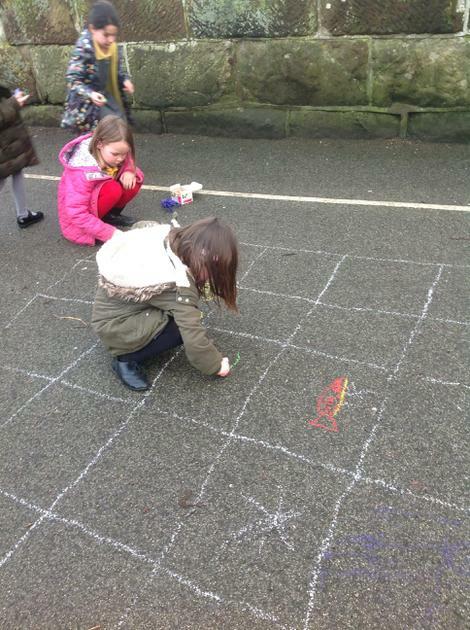 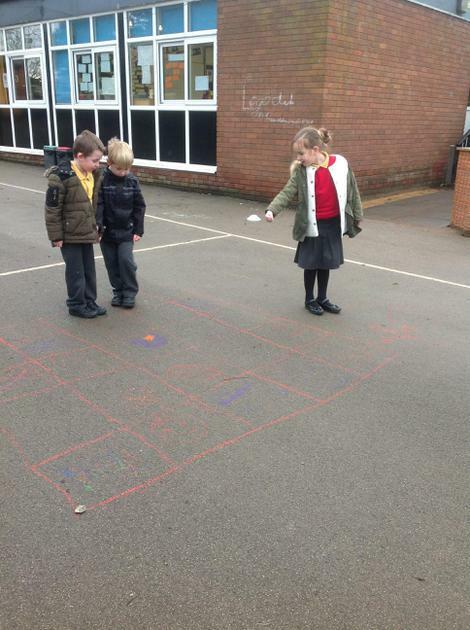 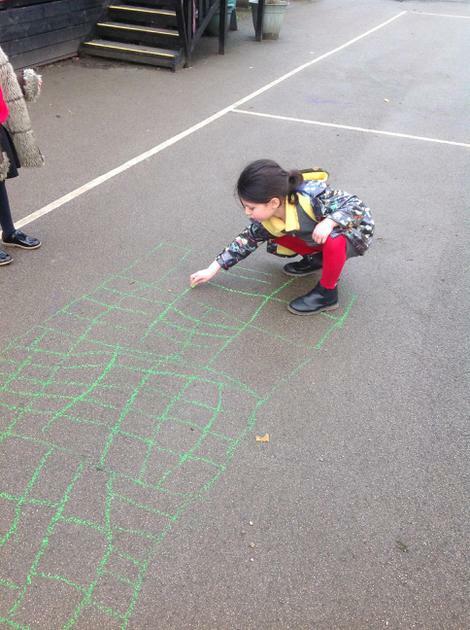 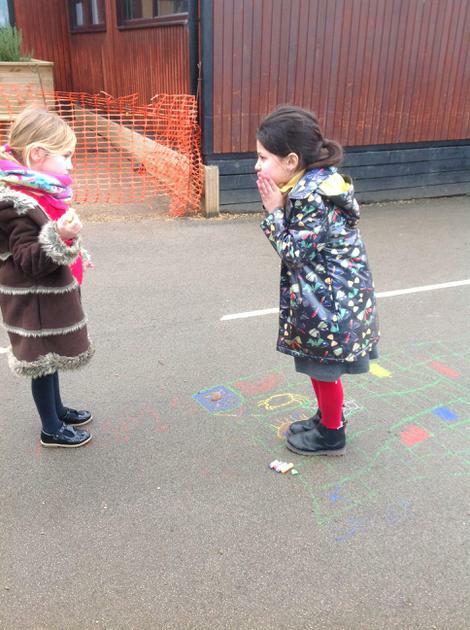 Practicing our map making and compass skills using chalks on the playground. 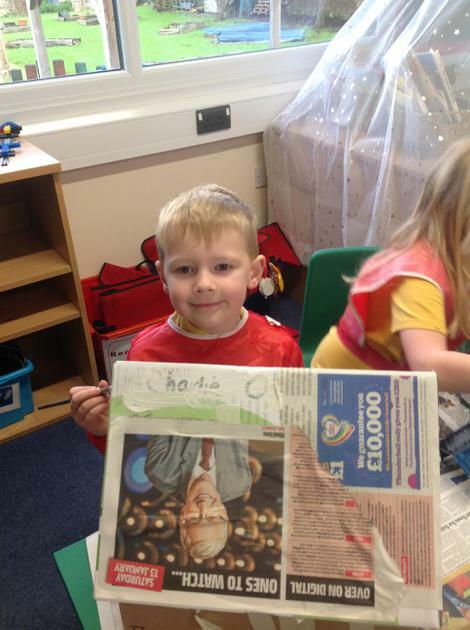 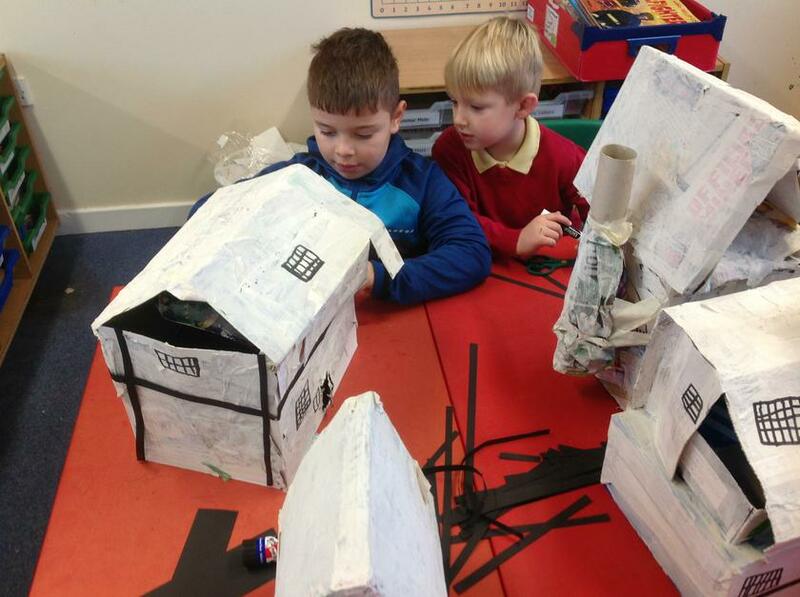 We used our imaginations to explore what it would feel like to be in London at the time of the Great Fire. 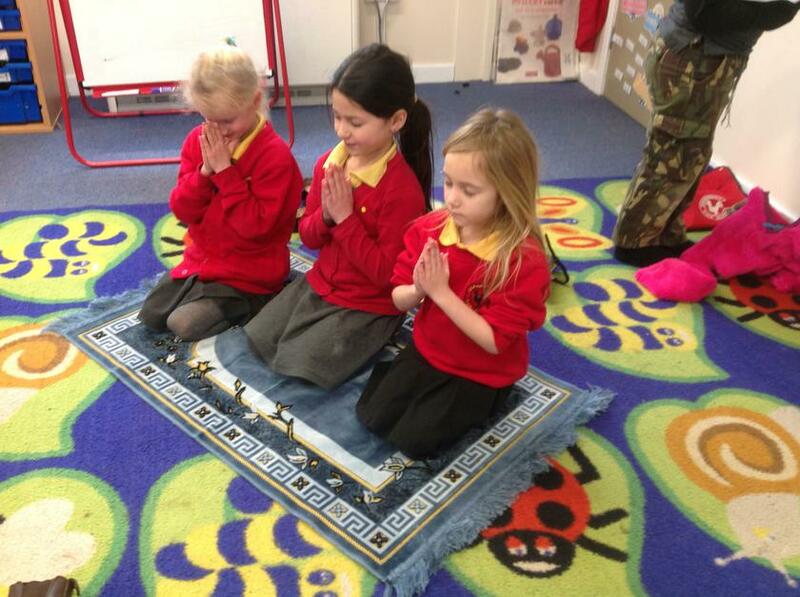 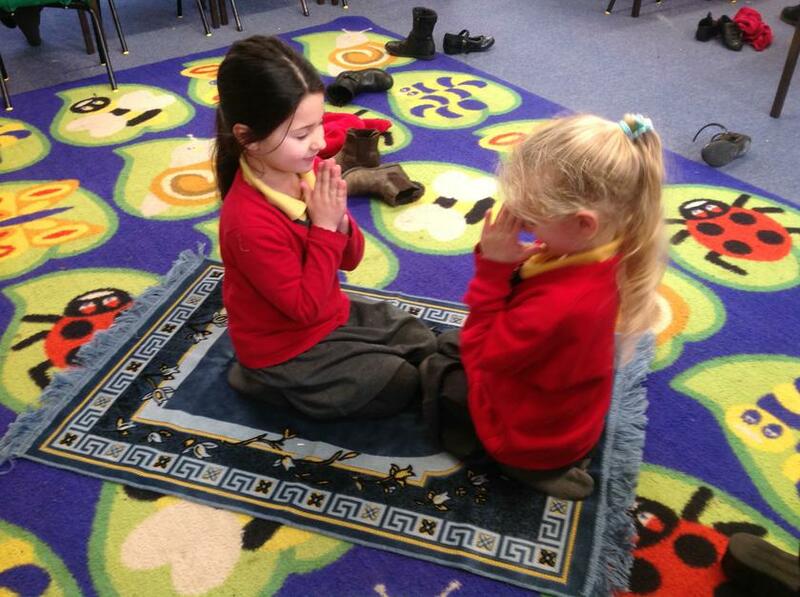 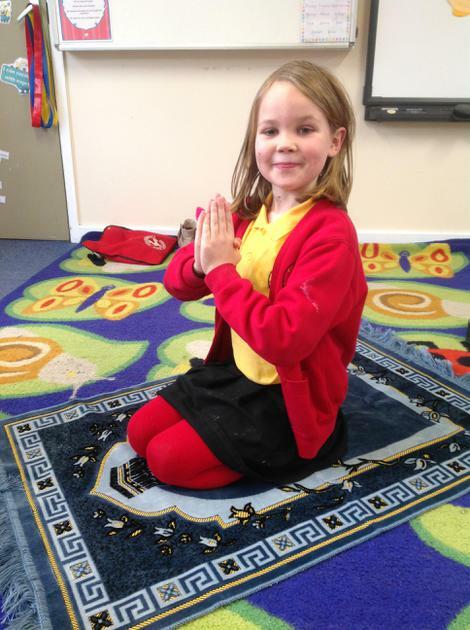 We love our daily yoga sessions! 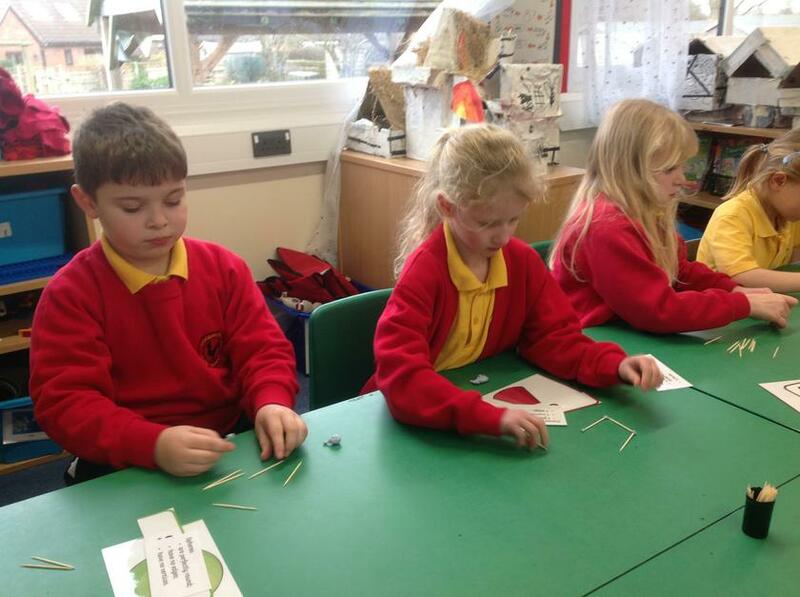 Here we are perfecting our downwards dog. 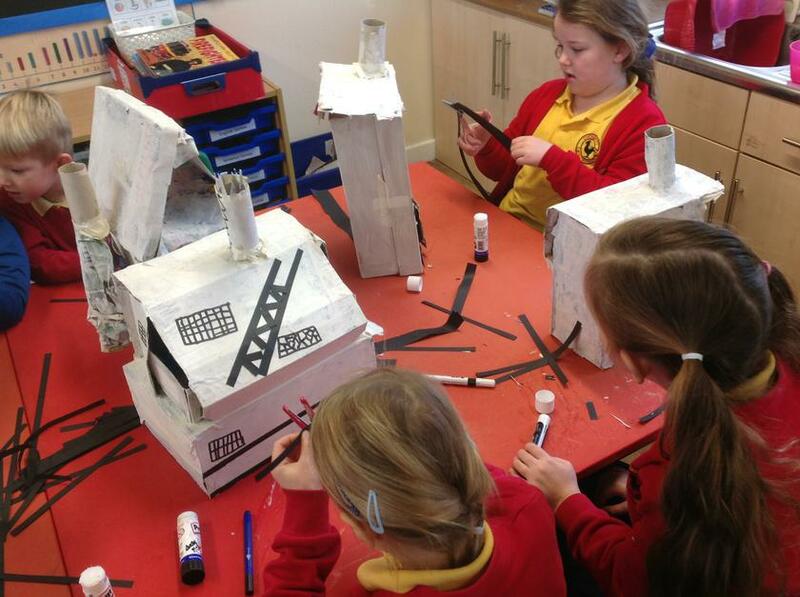 Stage three... adding the timber and windows. 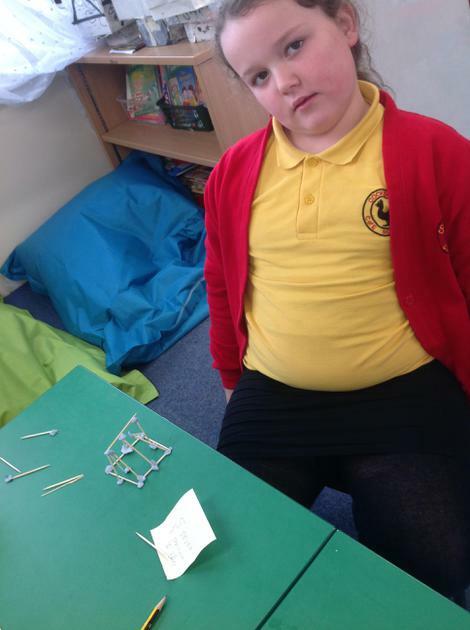 Stage two of the big build. 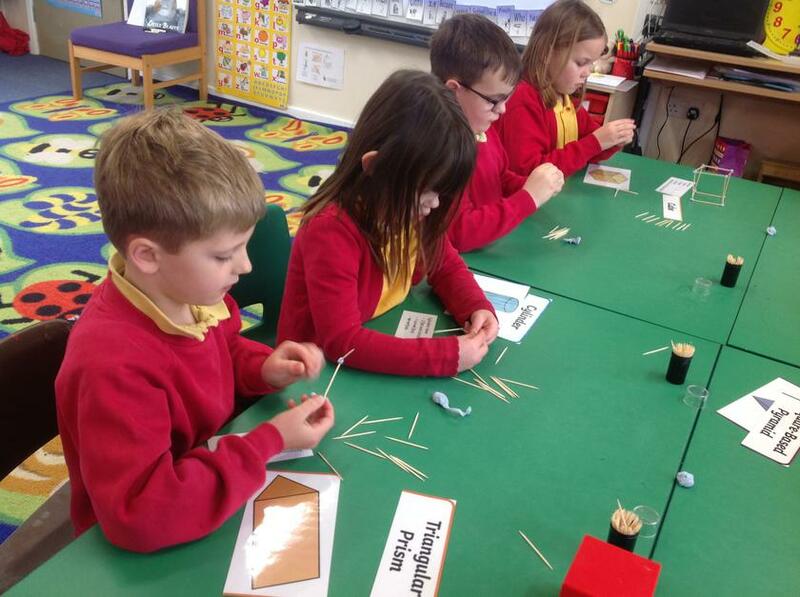 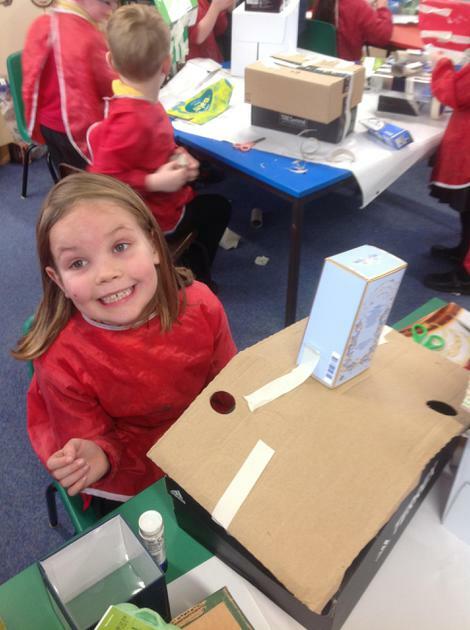 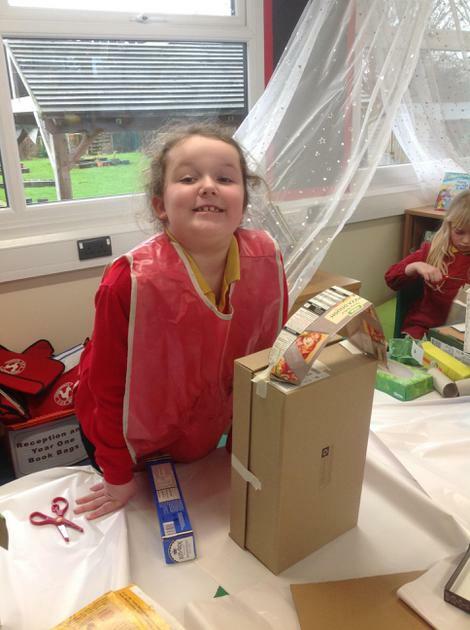 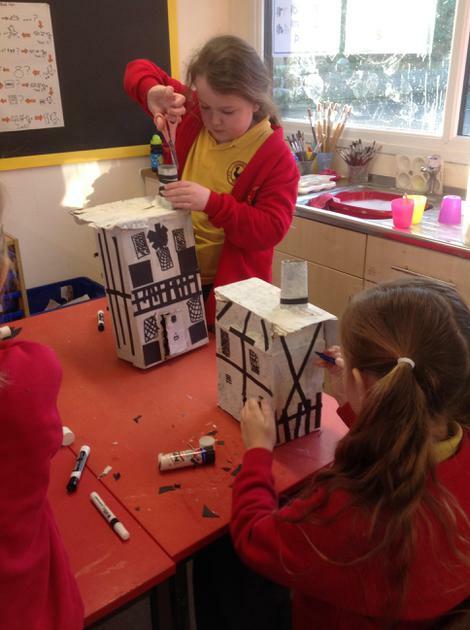 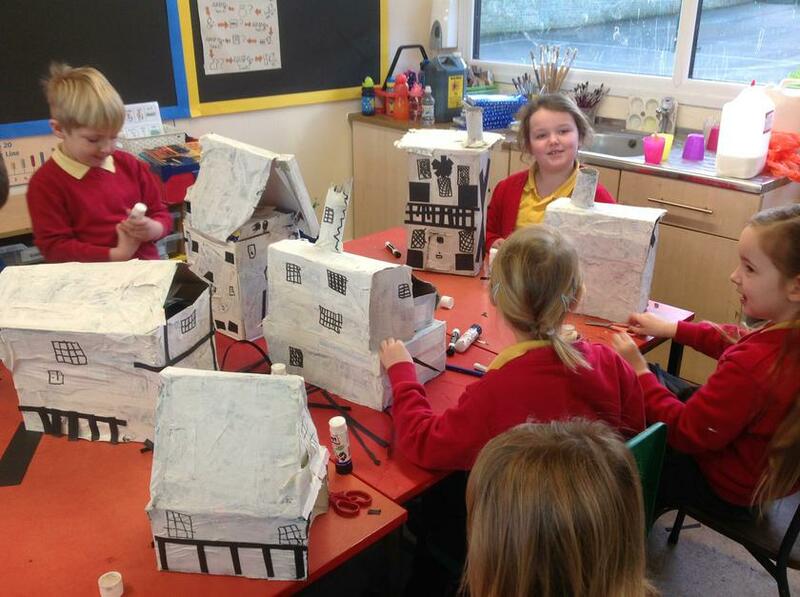 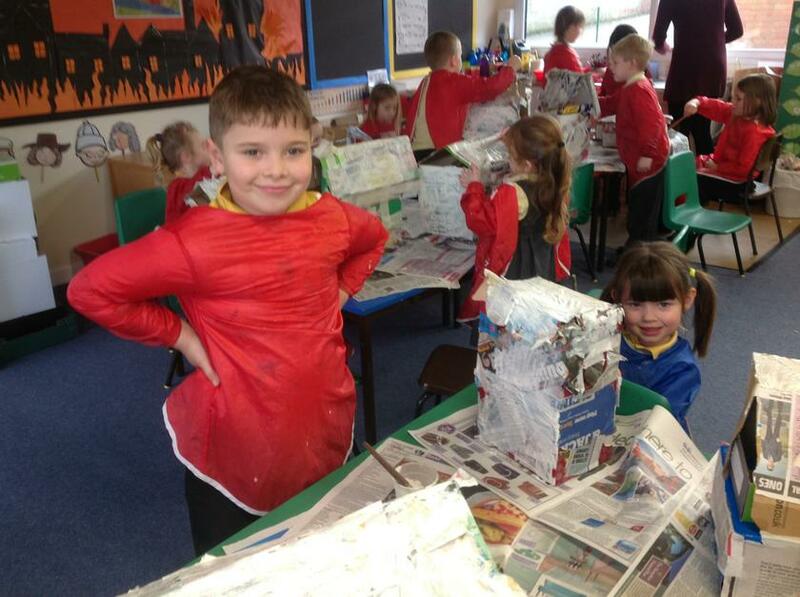 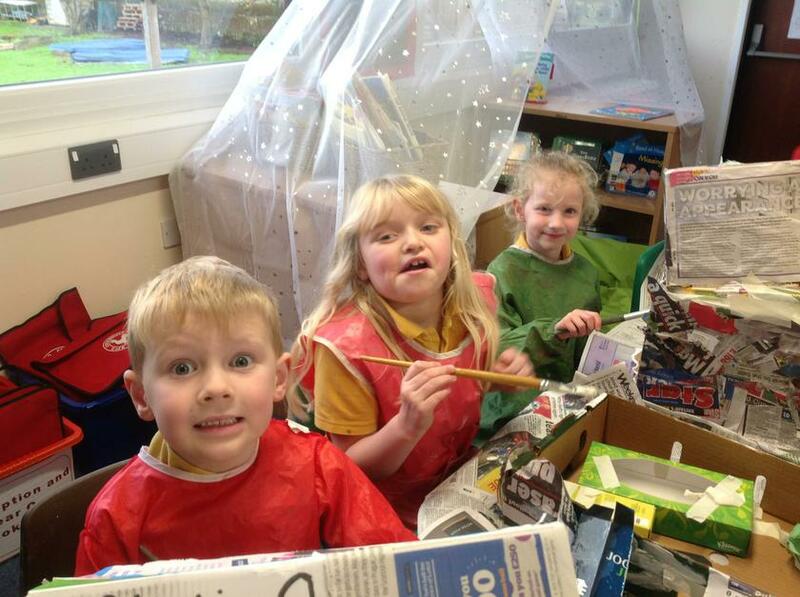 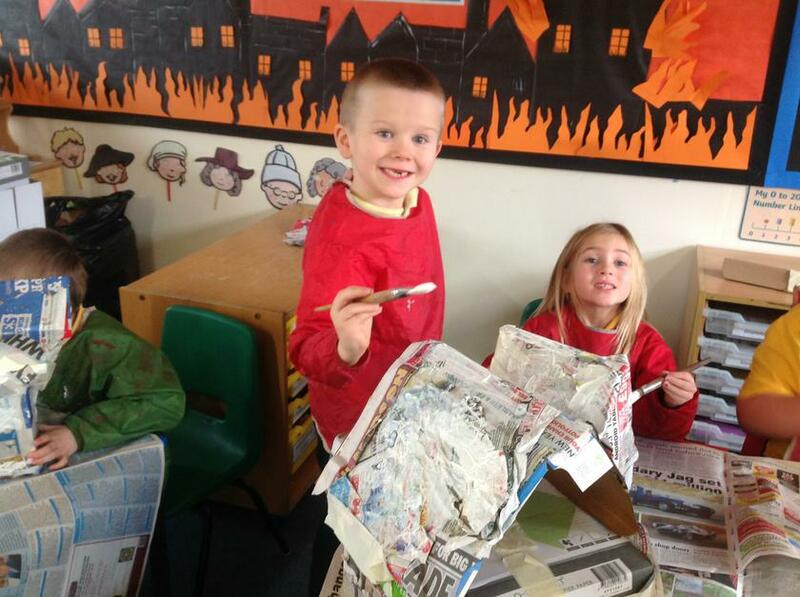 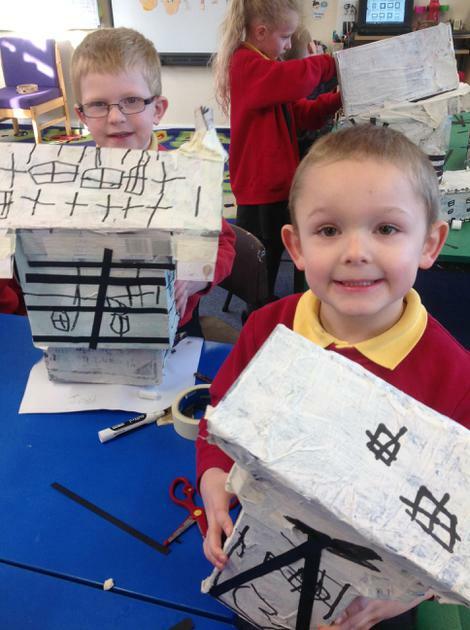 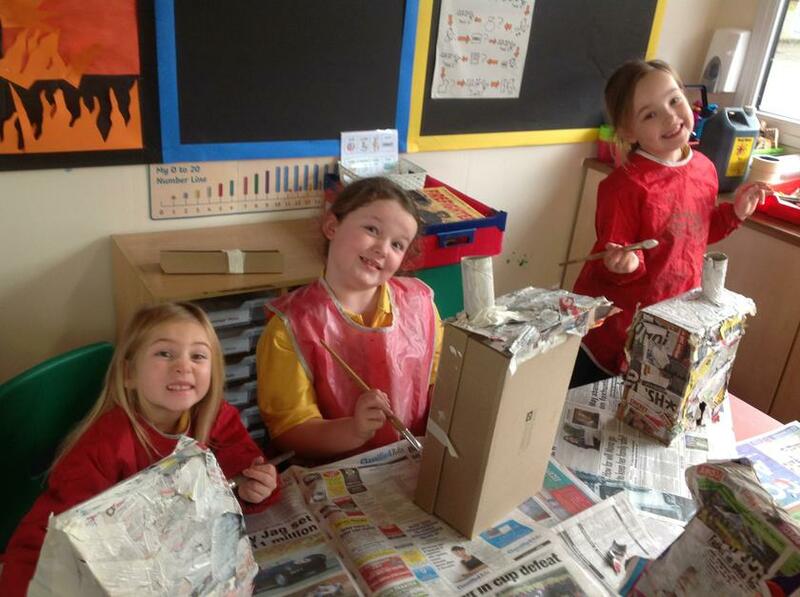 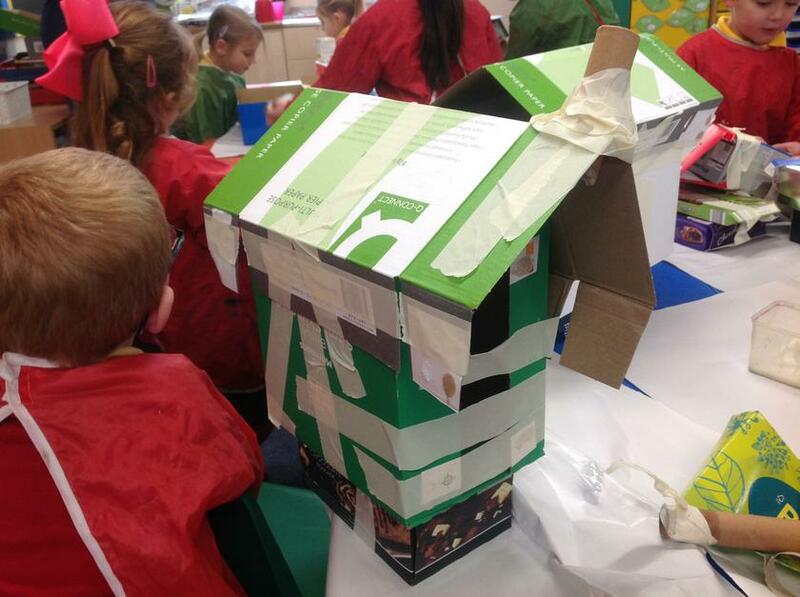 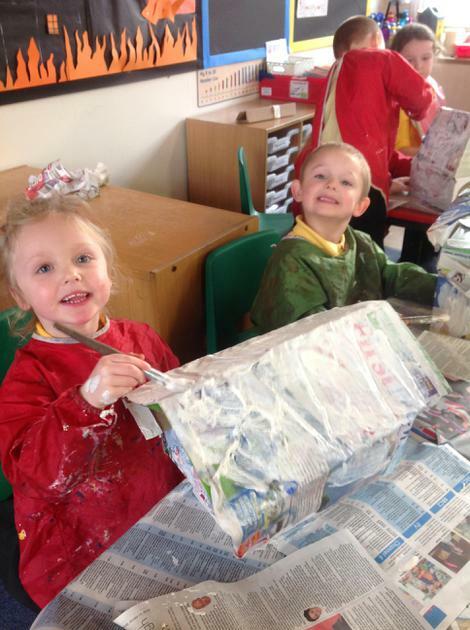 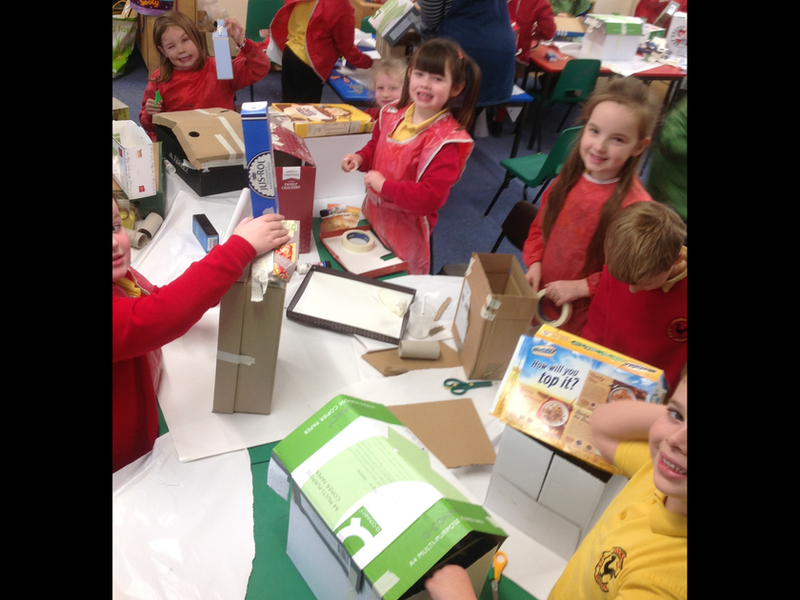 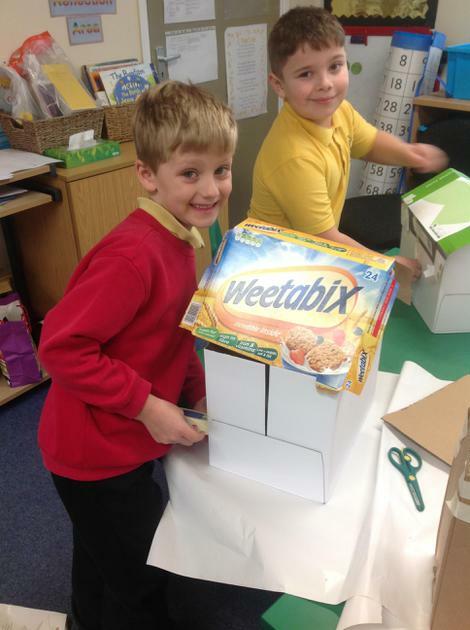 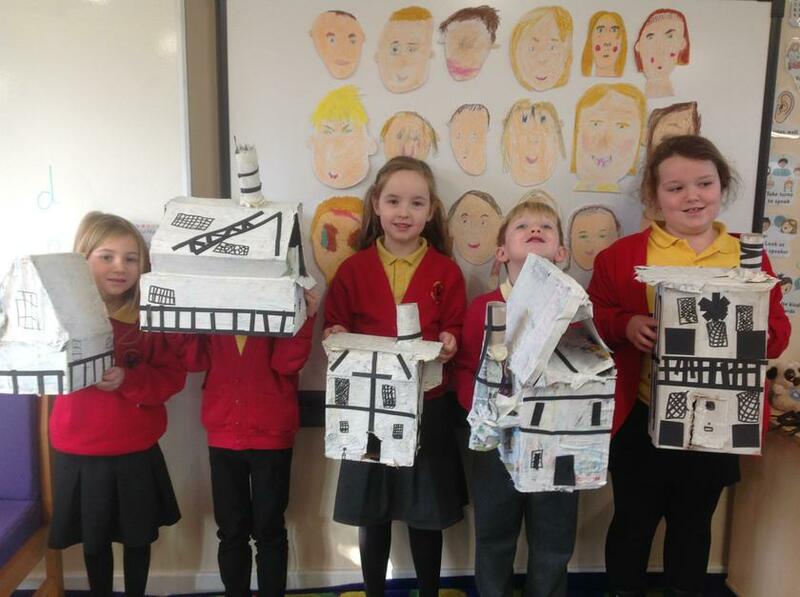 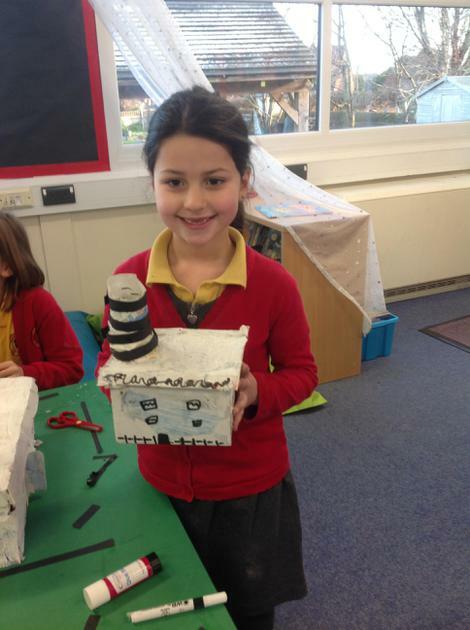 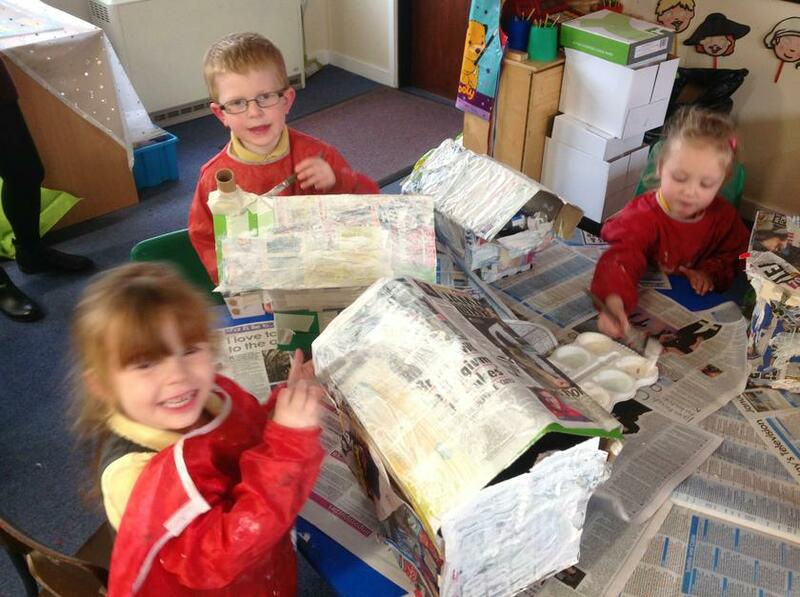 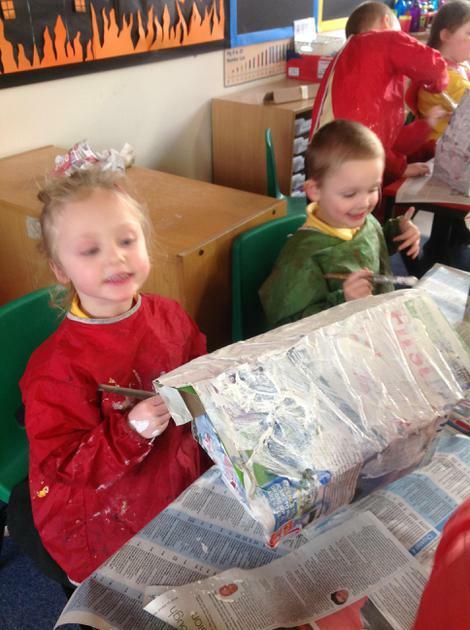 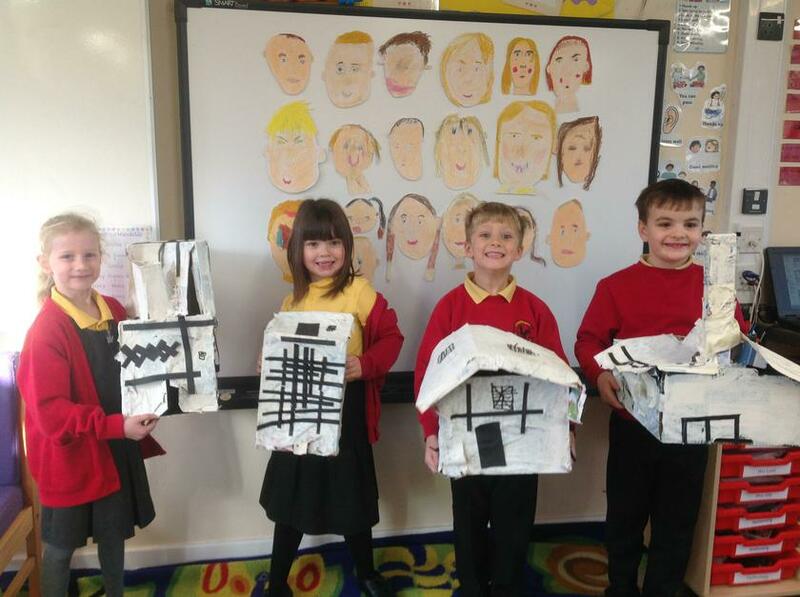 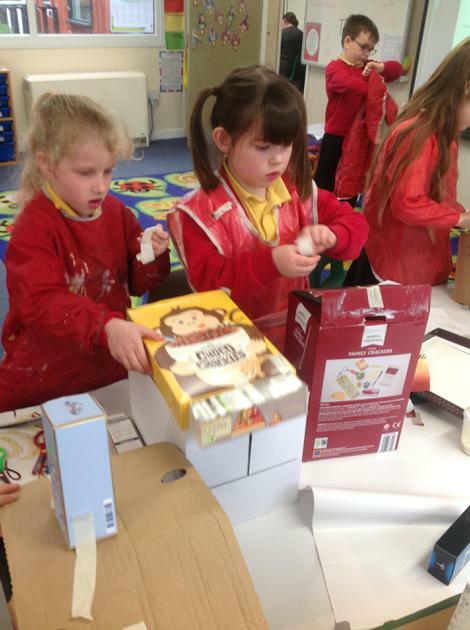 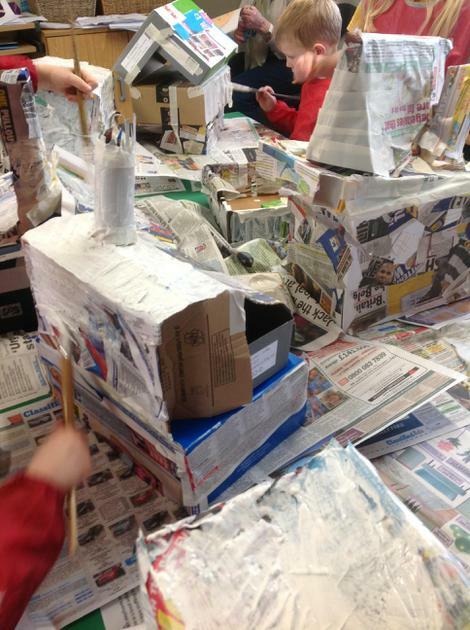 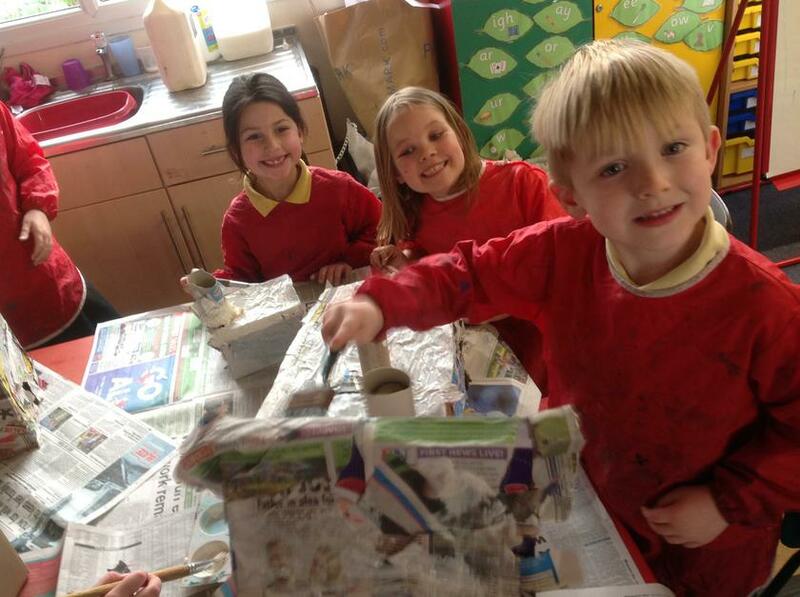 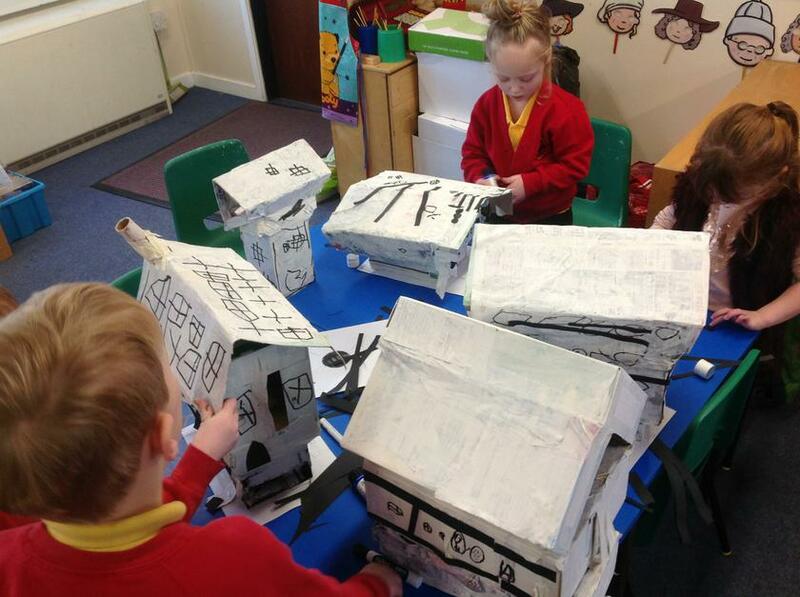 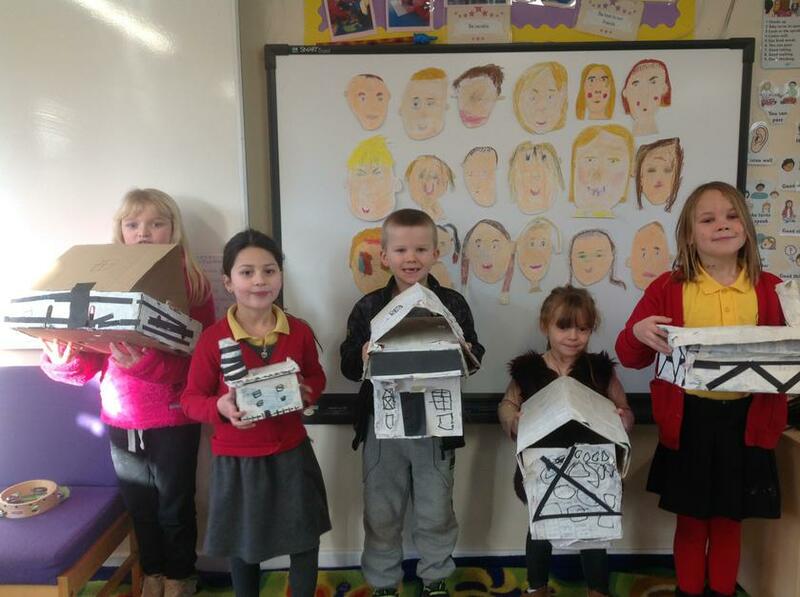 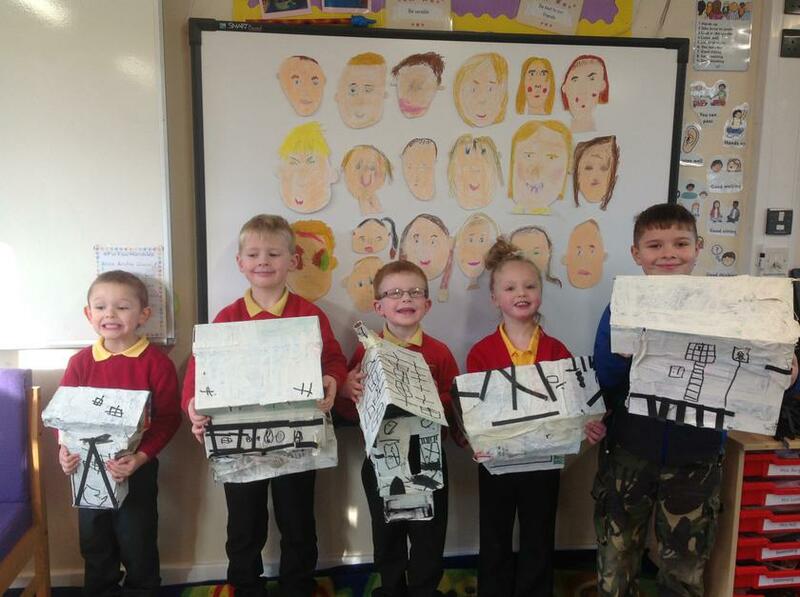 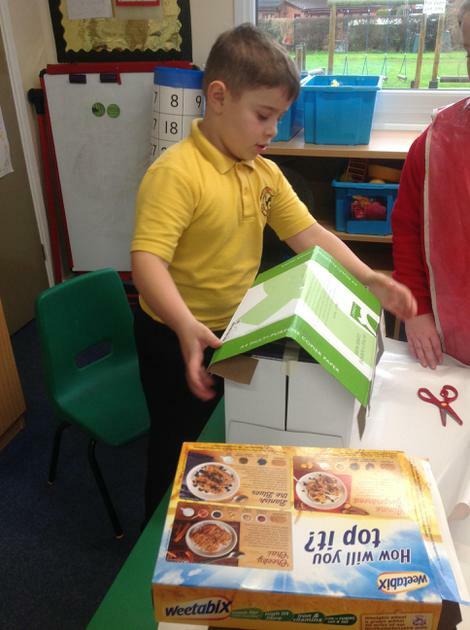 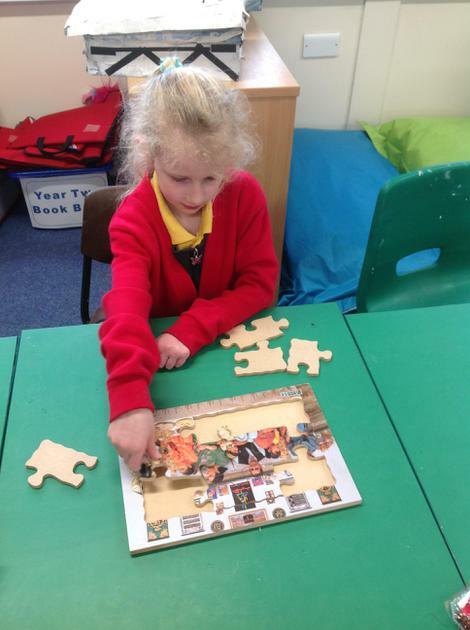 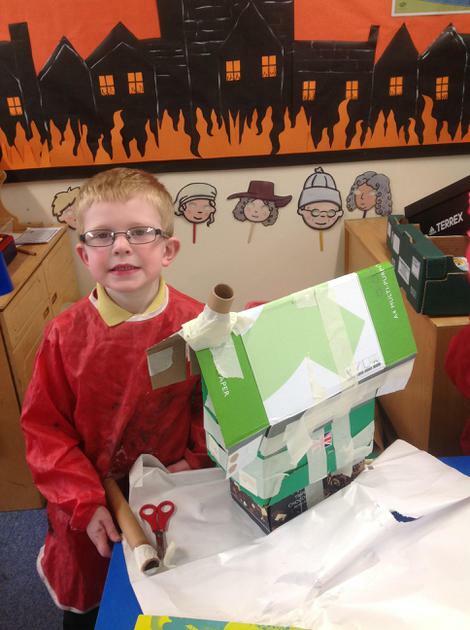 Beginning to build our Tudor houses to go in Pudding Lane. 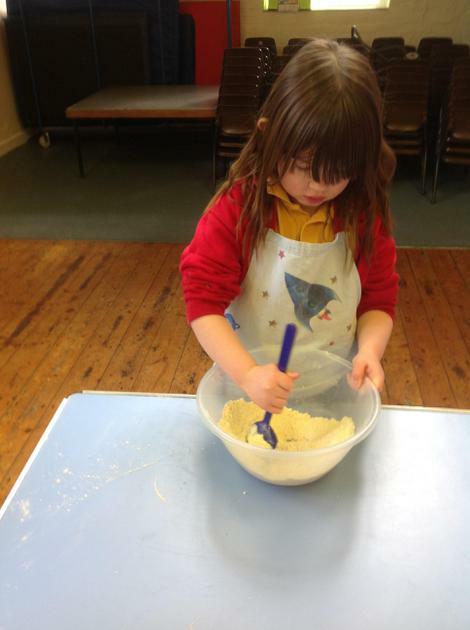 Just like the baker on Pudding Lane!